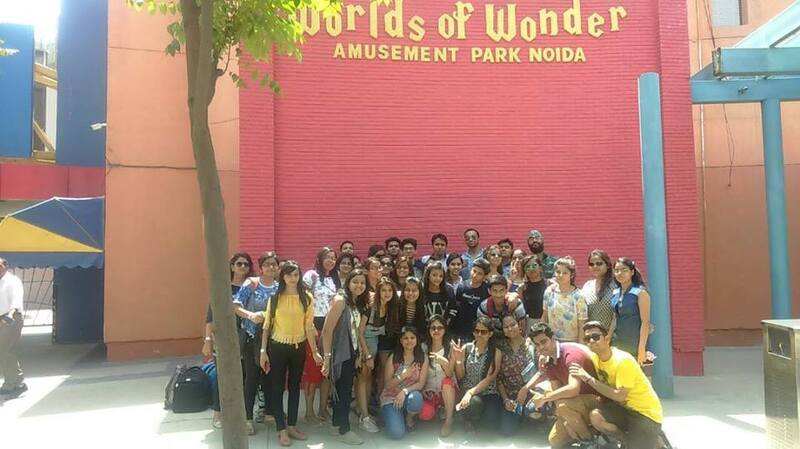 The I.T.S Dental College, Ghaziabad organized a one day trip to Worlds of Wonder for BDS Ist year students on 4th May, 2017. 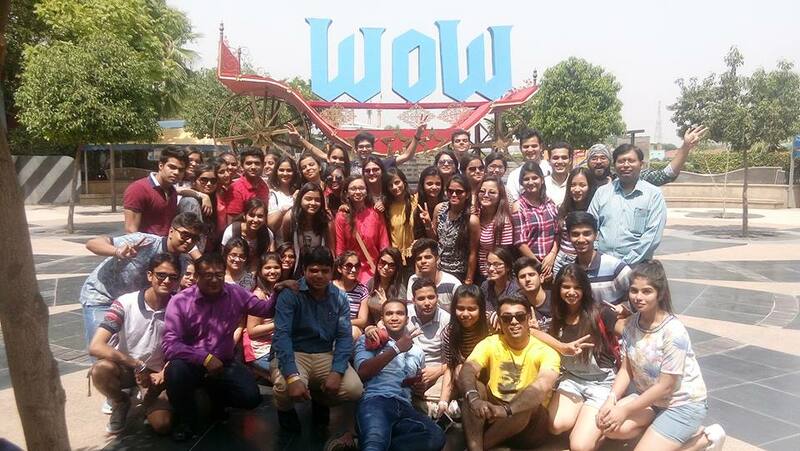 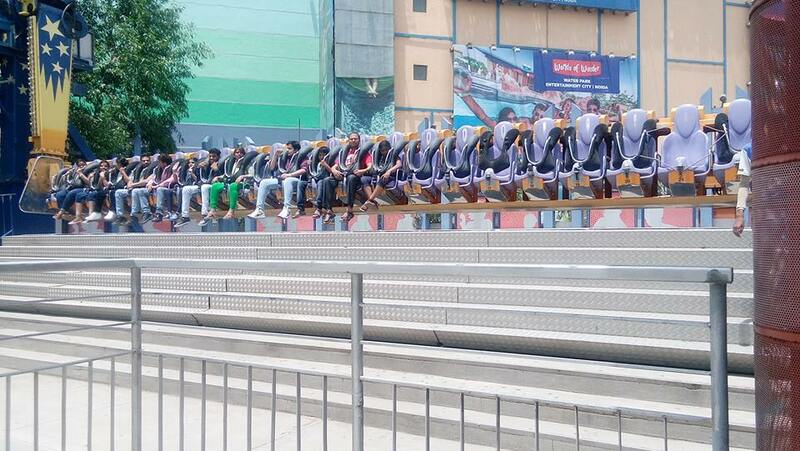 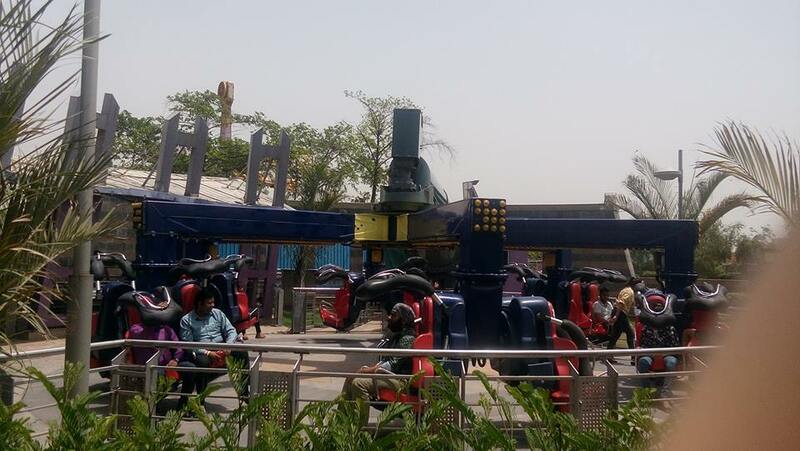 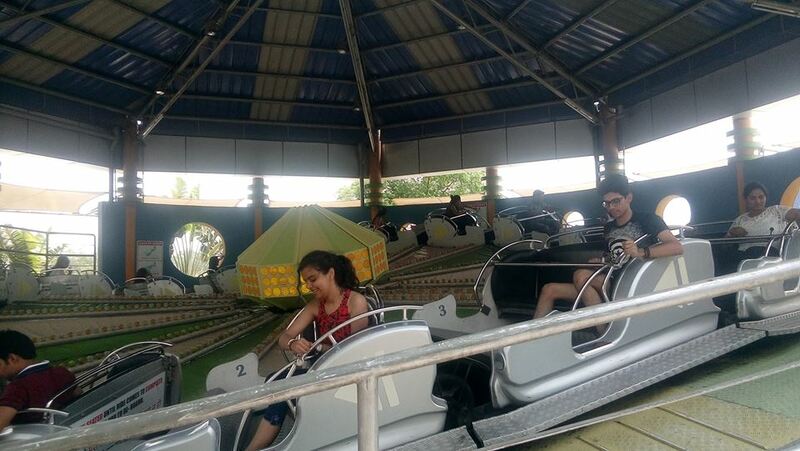 The students enjoyed international rides, boating, had great fun in water park, DJ, rain dance, and a lot more. 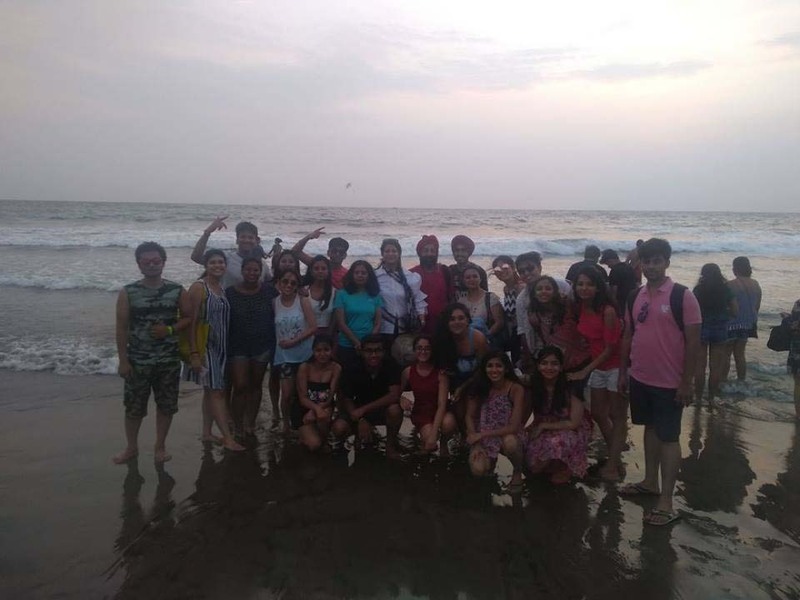 It was a pleasant trip and all the students enjoyed a lot. 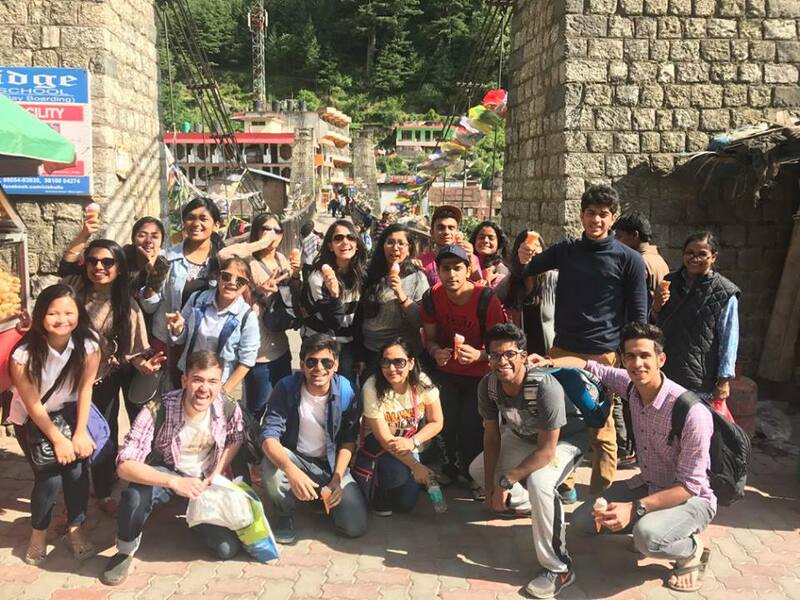 The students of BDS 3rd year travelled to Kullu and Manali for their annual trip to feel a pinch of the cool wind and enjoy the mesmerizing beauty of nature in the blazing summer. 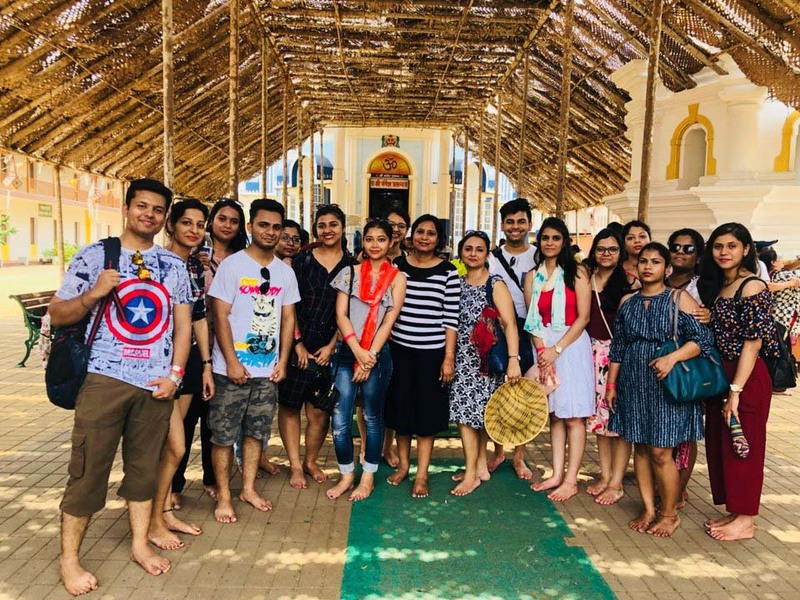 The trip lasted 5 days and included visit to temples, monasteries and a lot of adventure activities like rafting, paragliding and night trekking. 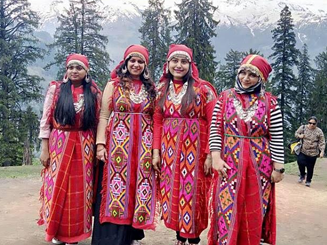 The stay was planned in summer camp 5 kms away from Manali on the rocky banks of the river Beas, isolated from the hum of tourist activity, surrounded by woodland and lush green pinewood forests an enchanting hideaway. 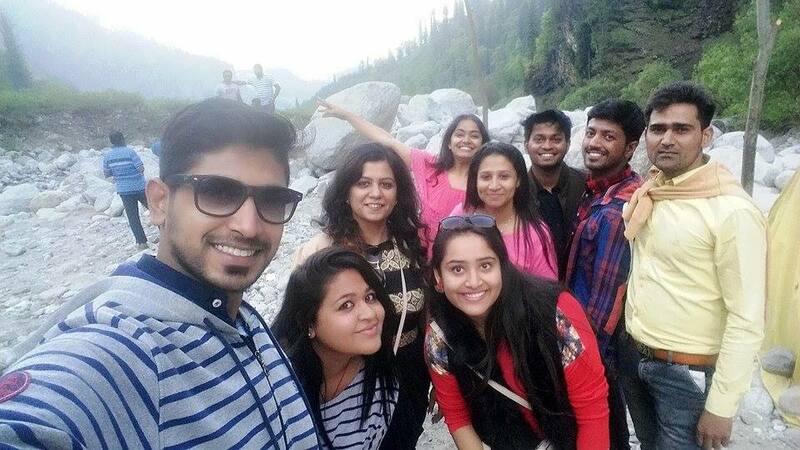 The trip to Kullu and Manali was a wonderful and memorable experience for all the students. 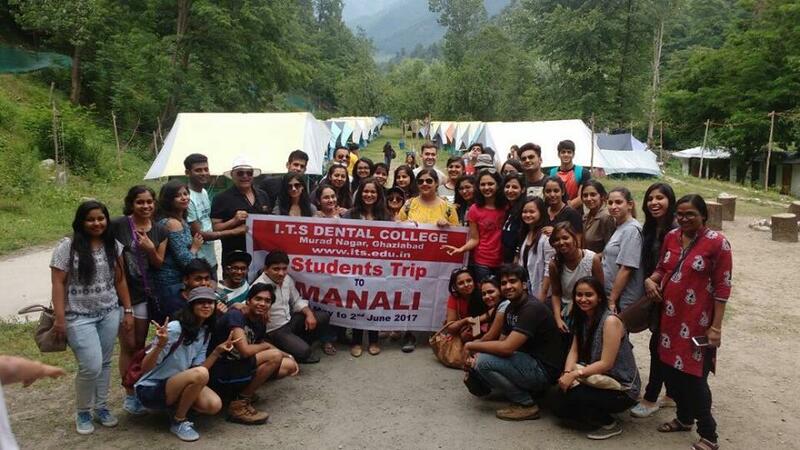 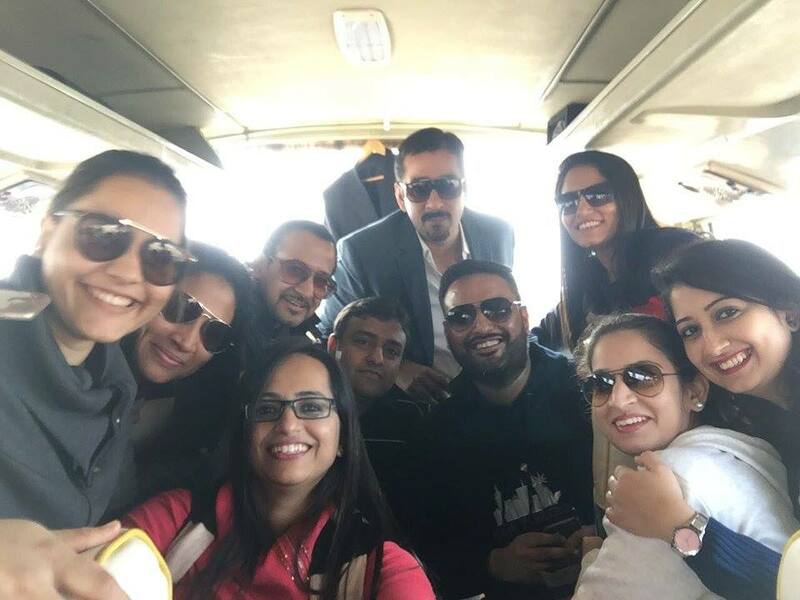 Traversing the lofty hills and the splendid valleys of Himachal Pradesh, the students of I.T.S Dental College, Muradnagar travelled to Kullu and Manali for their annual trip from 8th May to 11th May. 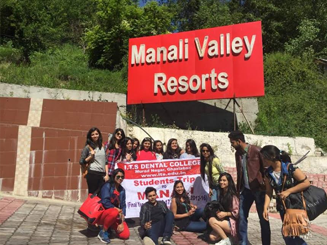 A total of 5 faculty members, 3 non-teaching staff and 76 students (50 BDS Final year students and 26 Interns) travelled to the beautiful valley of Kullu Manali. 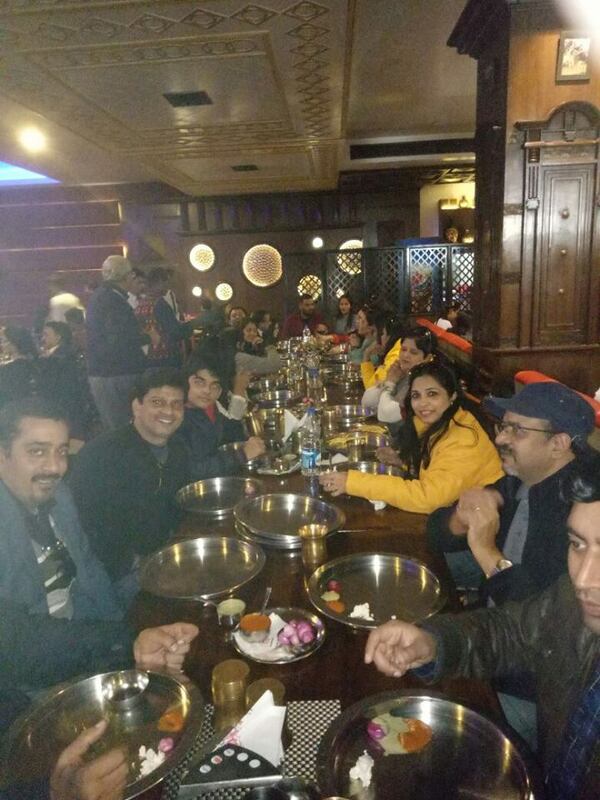 Their stay was planned in 2 hotels: The Manali Valley & Royal Grand. 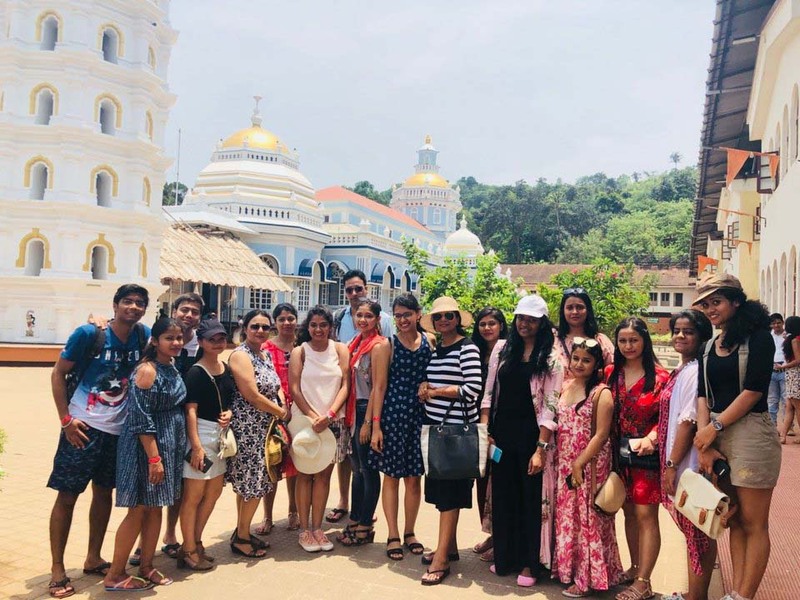 The students indulged in various adventure activities viz rock, climbing, rope climbing, Burma bridge, Ring walk, Rapling, Monkey crawling, Balancing logs. 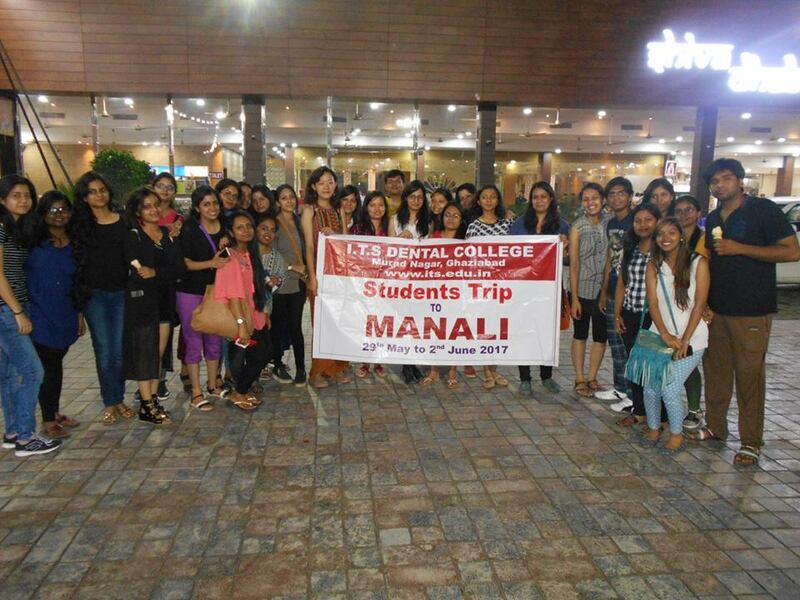 Students enjoyed on the mall road and thereafter retired back to the hotel where DJ was arranged. 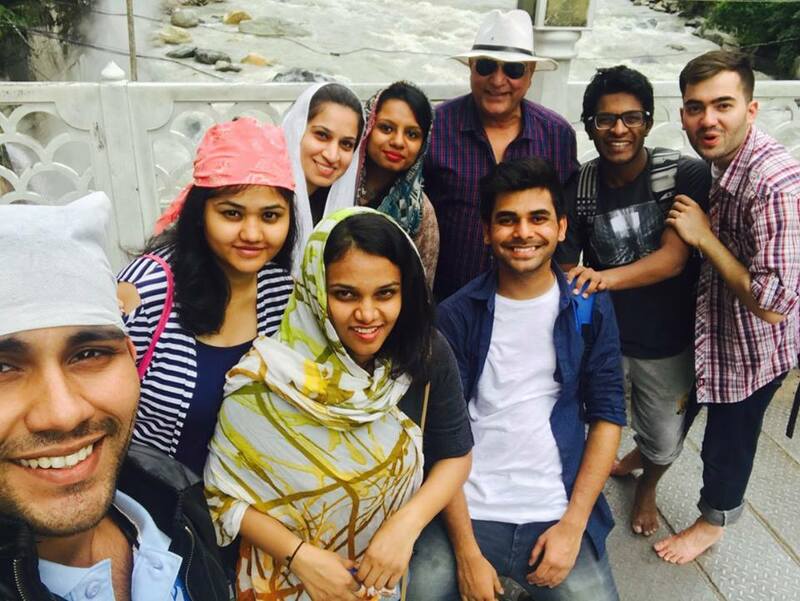 Students visited the Hidimba Temple, the Vasisht temple, The Manikaran gurudwara and the Solang “The Adventure valley”. 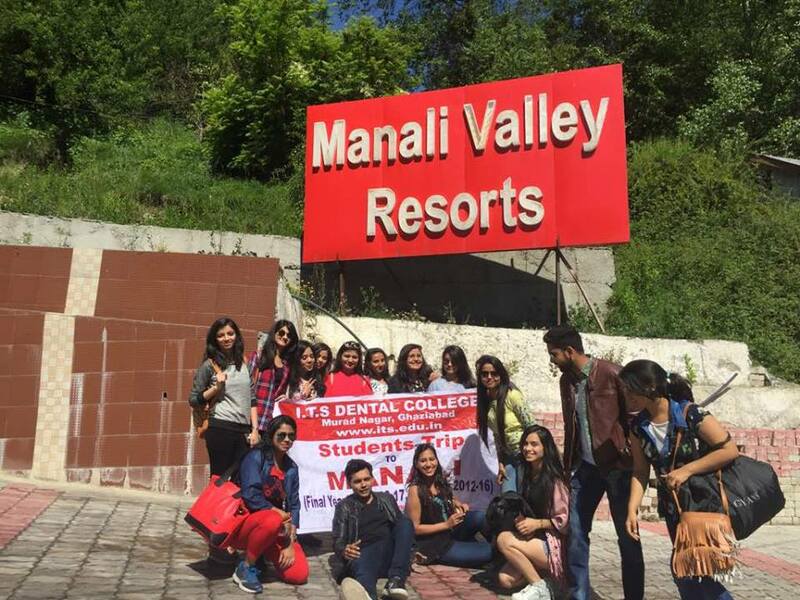 Students indulged in various adventure activities viz: paragliding, rope way and visited the “Snow point”. 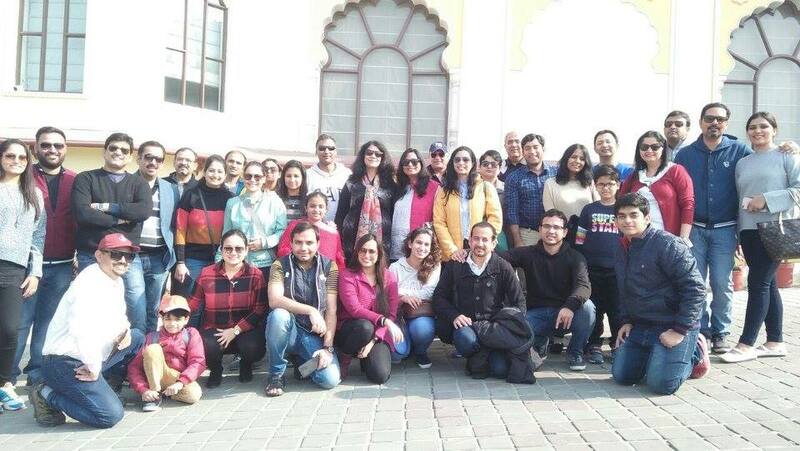 It was a very well organized trip and overall a wonderful and a memorable experience. 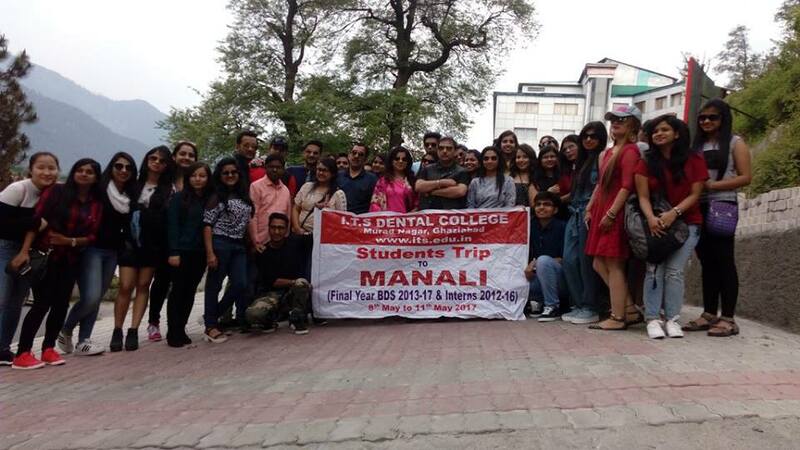 The students of I.T.S Dental College, Muradnagar travelled to Dhanaulti and Mussoorie for their annual trip. 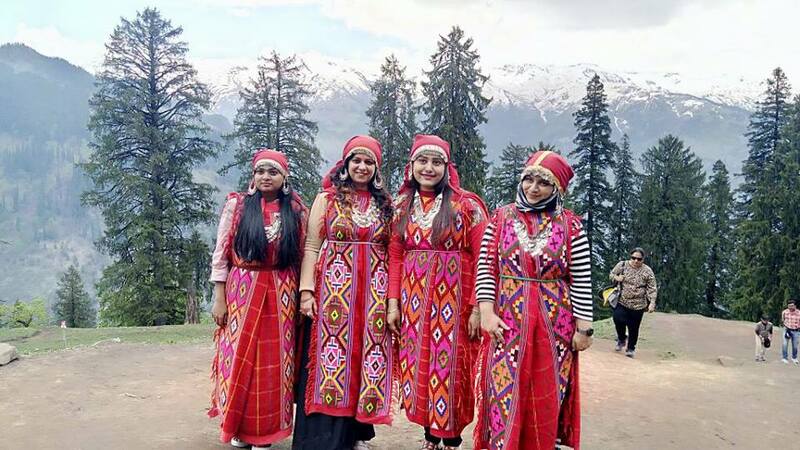 Dhanaulti is situated 24 km from the popular hill station of Mussoorie and is known for its quiet environment amidst the alpine forests. 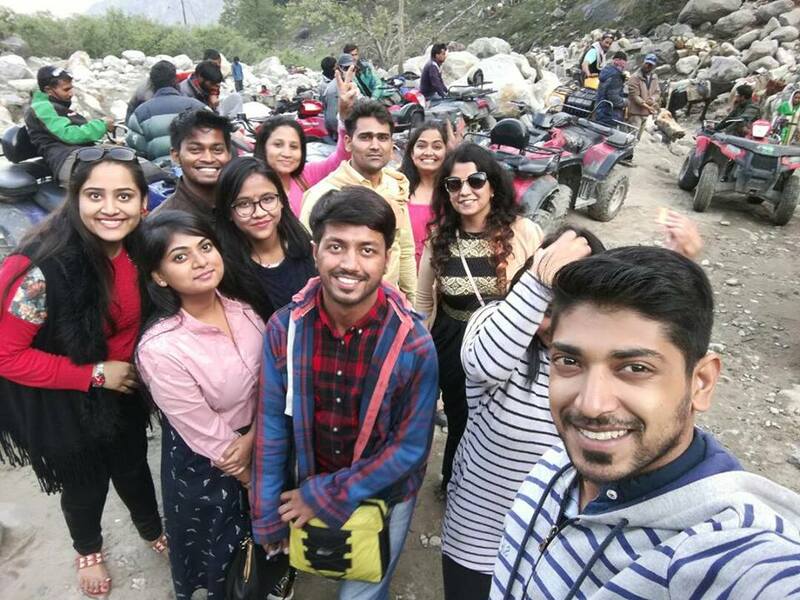 The trip was organized by the college and lasted for 3 days and 2 nights. 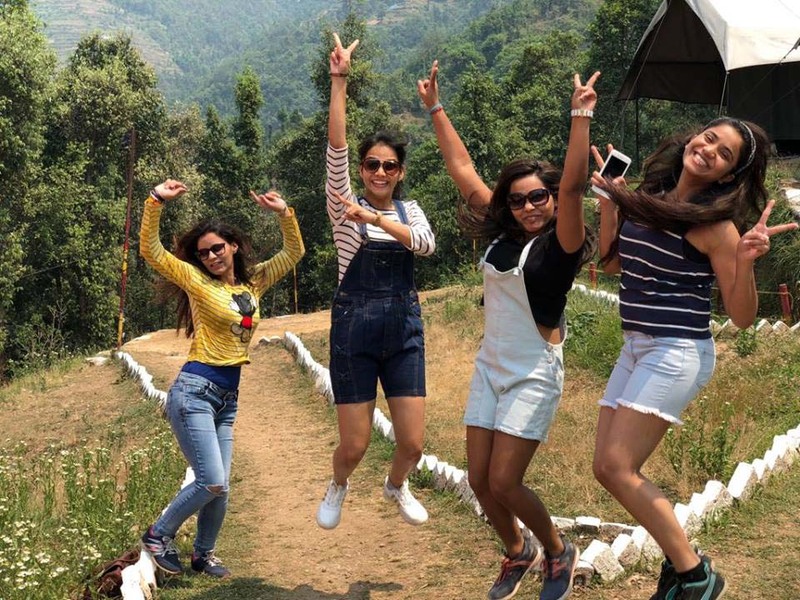 Dhanaulti and Mussorie are truly a nature lover’s paradise. 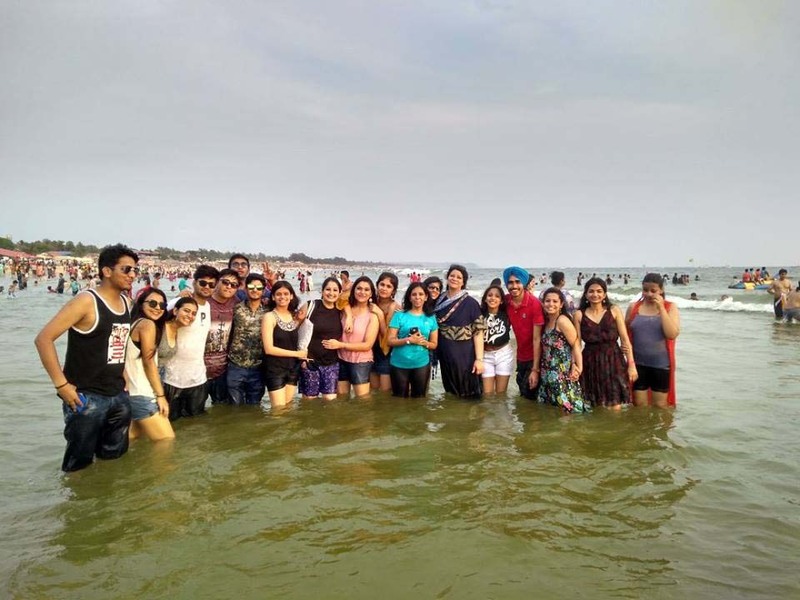 These places promise an abundance of scenic beauty and a lot of adventure activities. 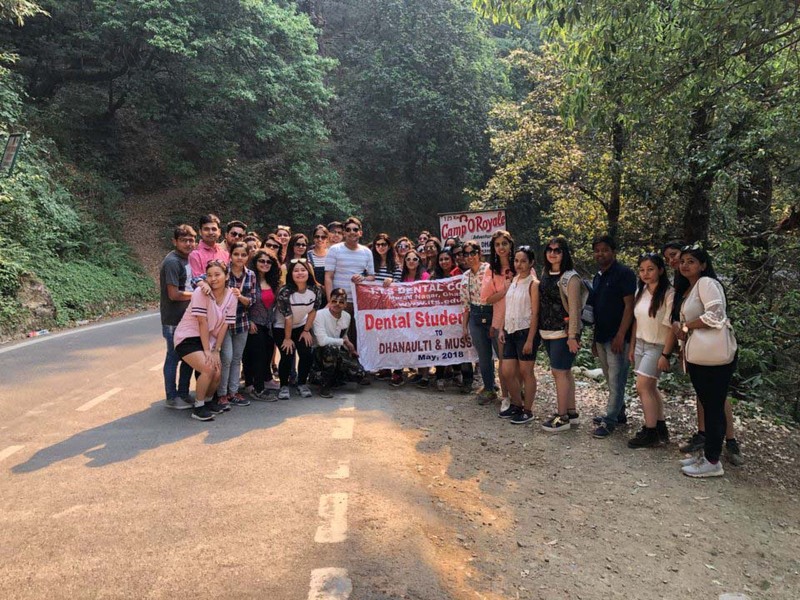 A total of 4 faculty members and 52 students (32 BDS First year students and 20 Interns) travelled to the beautiful hill station of Dhanaulti. 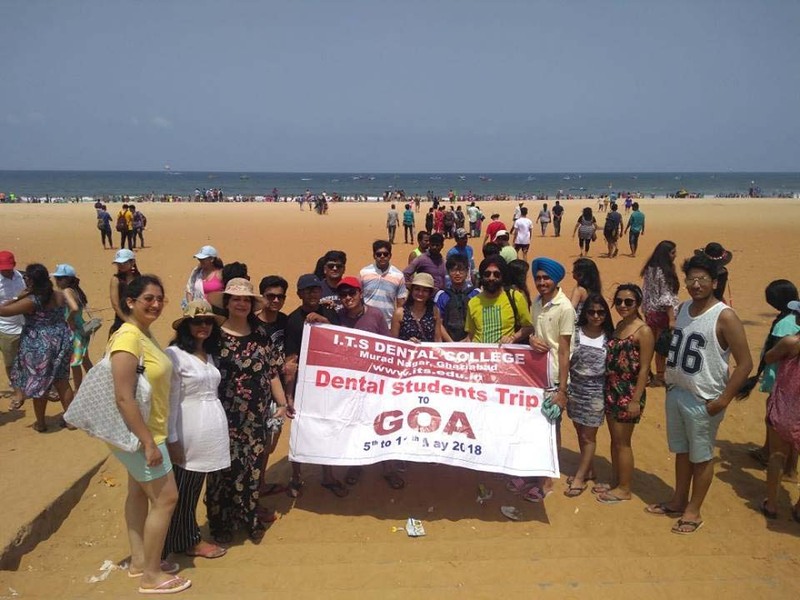 The faculty members included Dr Ashish Behl, Dr Manu Dhillon, Dr. Swyeta Jain Gupta and Dr. Nikita Gulati. 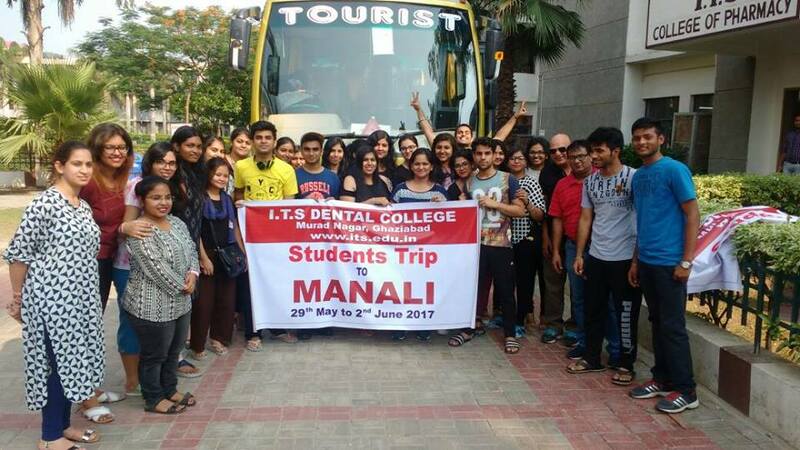 Two AC buses were hired and they started from the campus of I.T.S Dental college, Muradnagar on 27th May at 11 pm. 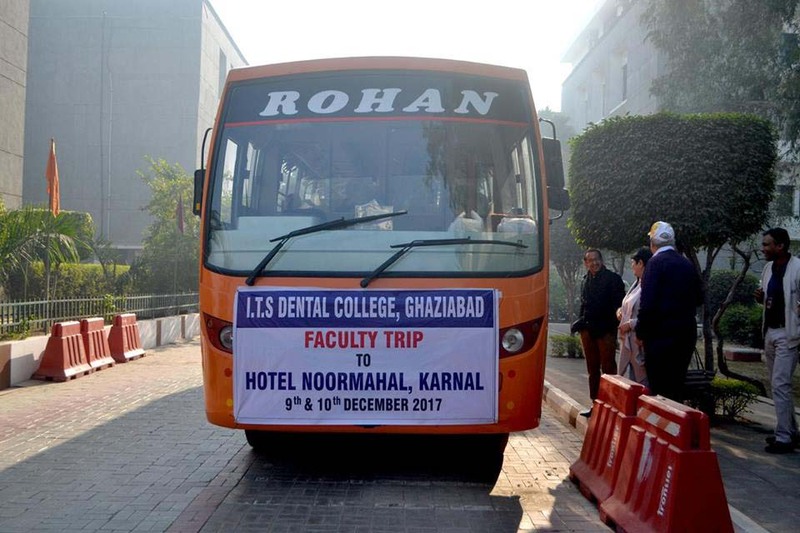 All the students were enthusiastic and the bus journey was very comfortable. 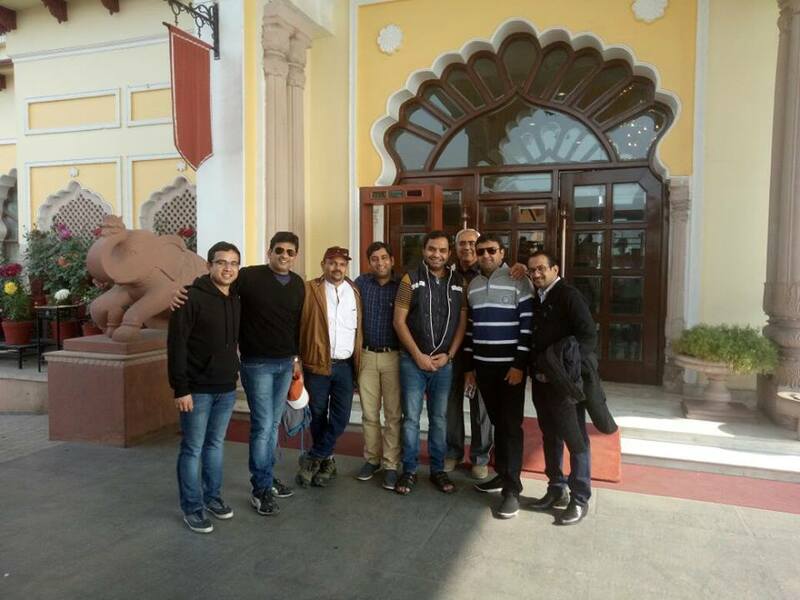 On the way the bus stopped at Guru Nanak Dhaba for tea and snacks and reached the final destination next day morning at around 9 am. 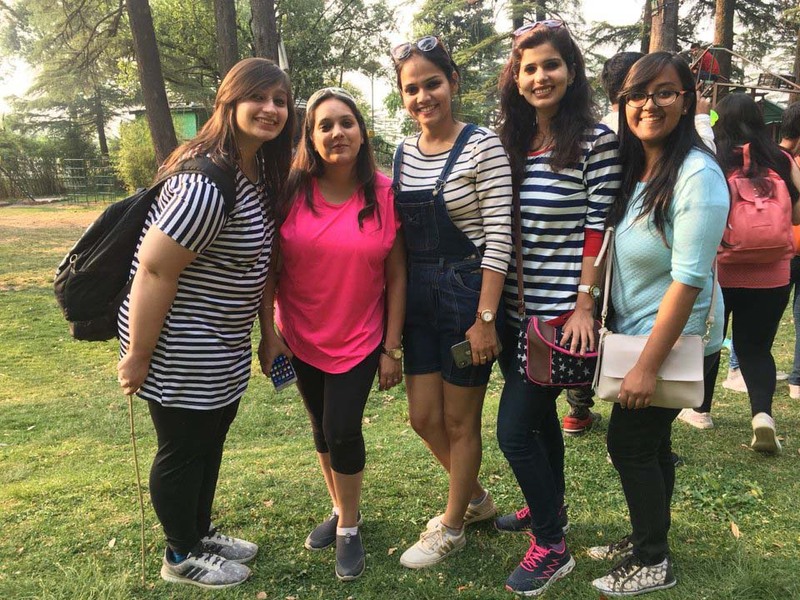 The stay was planned at Camp O Royale Dhanaulti which is located at 8500 ft in the lap of Mussoorie Hills and is ideal pleasure among long wooded slopes of Pine, deodar, Rhododendron trees and Oak. 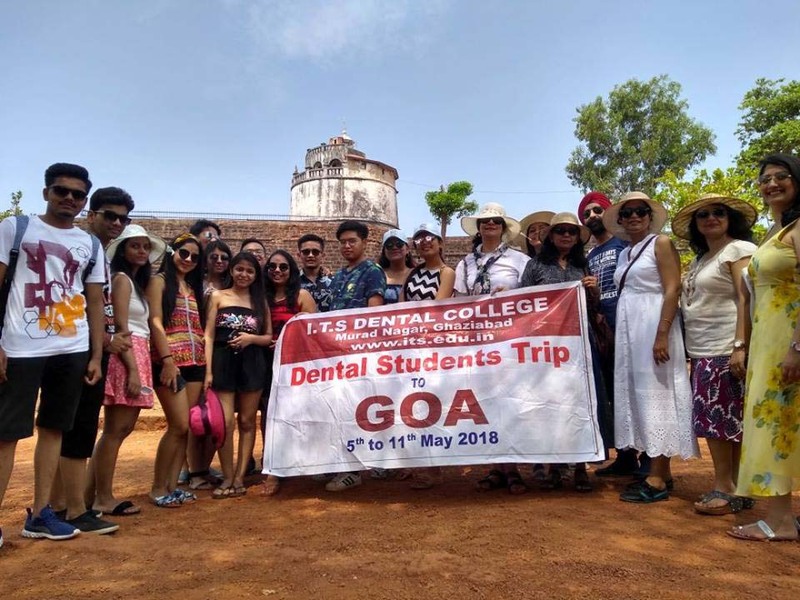 The B.D.S first year students, interns and the faculty members were accommodated in comfortable camps and cottages with necessary facilities. 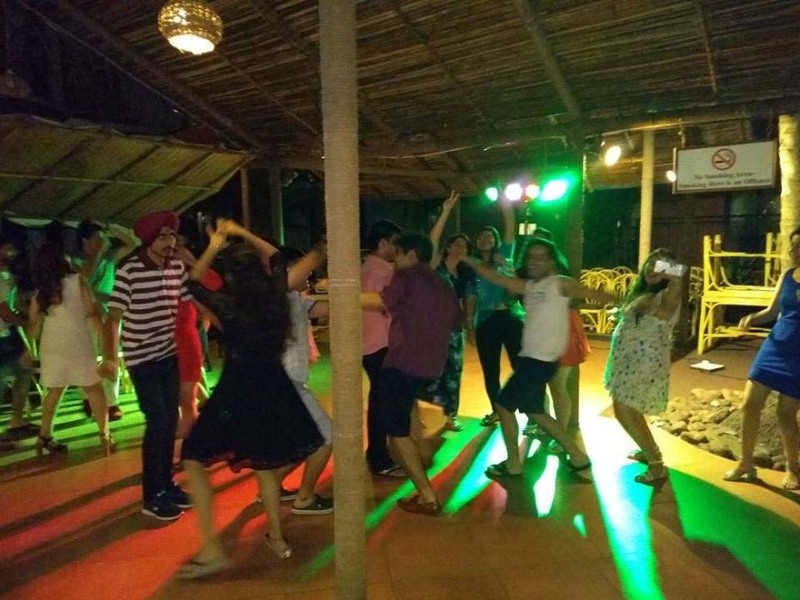 After camp allotment and orientation followed by a bit of relaxation and scrumptious breakfast, the students indulged in various in house adventure activities viz Burma bridge, Mowgli walk and Commando net followed by lunch. 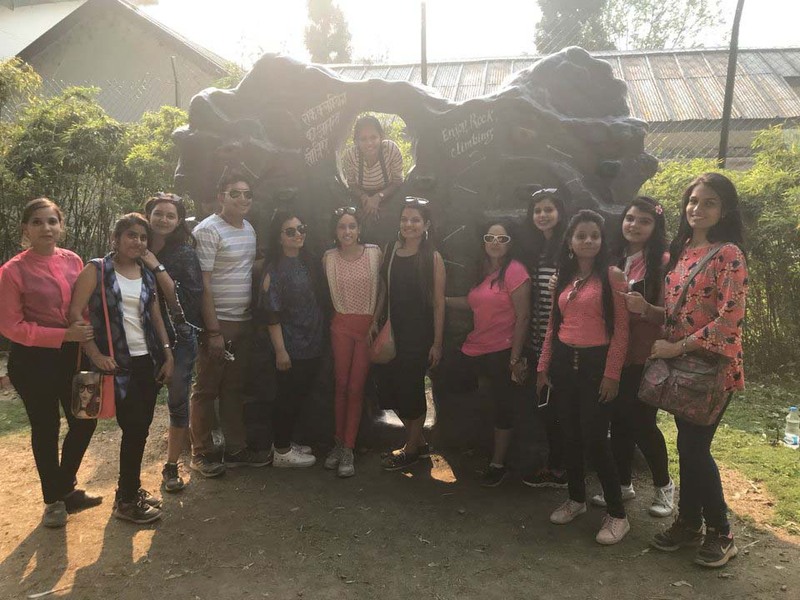 Thereafter the team leader instructed for next venture to Eco Park, spread over an area of 13 hectares and located at the height of 7800 m above the sea level covered in deodar and oak trees. 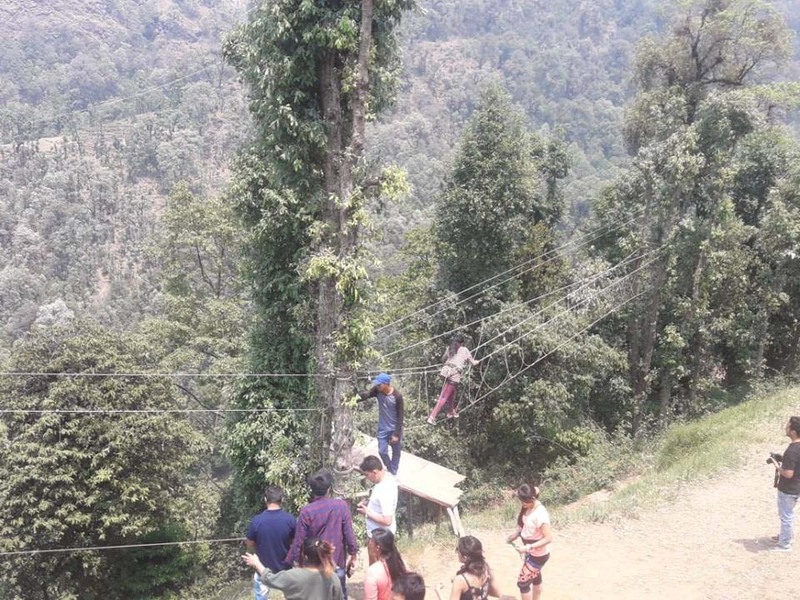 The students enjoyed adventure sports facility available in the form of walking over the flying fox and burma bridges. 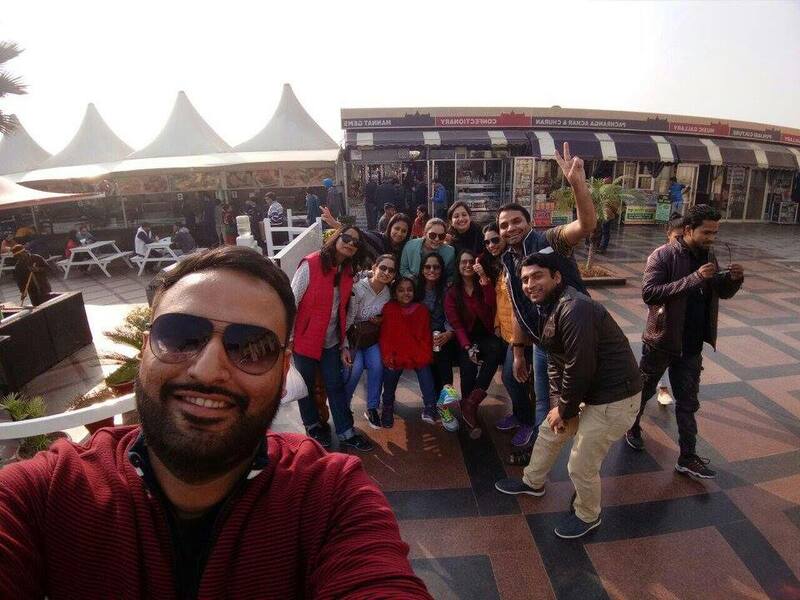 Students also had a glimpse to Aaloo Khet (Potato Farm) and rejoiced a popular sunrise view point. 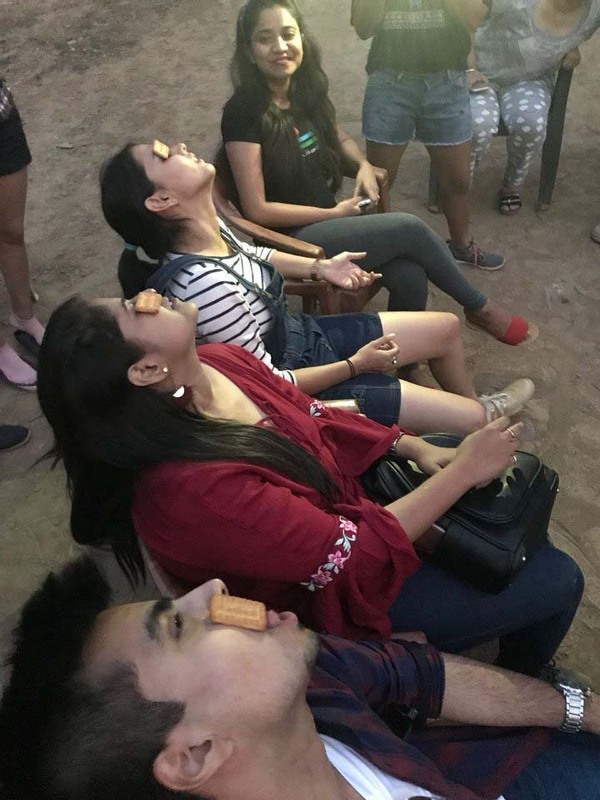 After reaching the base camps students relaxed and had evening snacks followed by treasure hunt and other indoor fun camping game activities. 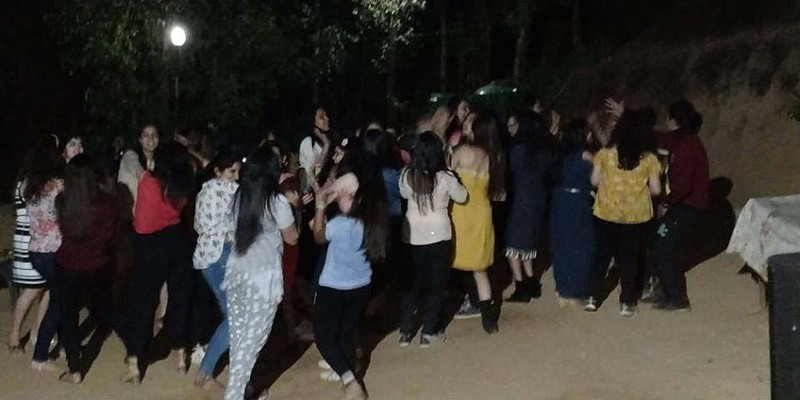 The students had a fantastic time dancing around bonfire and singing loud to their hearts. 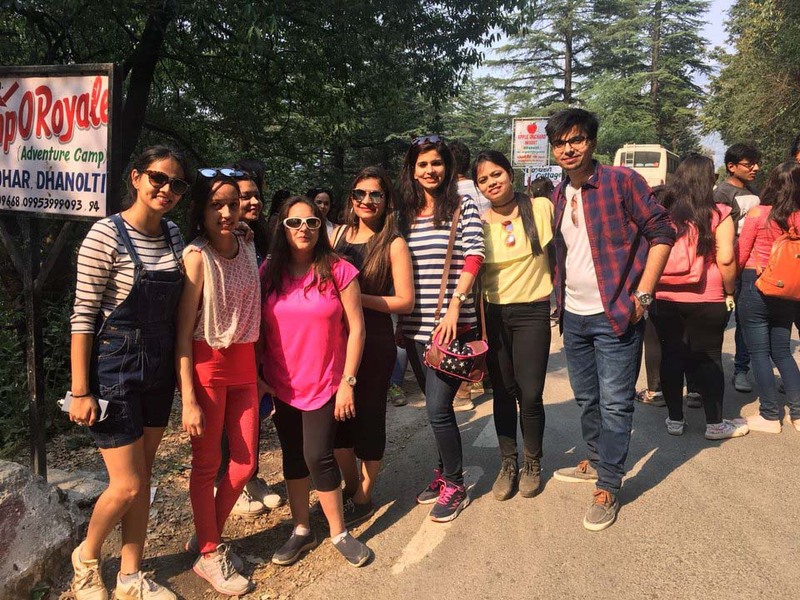 Early morning at 5 am, students trekked to Top Tibba, the second highest peak visible from Dehradun, located on the east of Suakholi village near Mussoorie offering a view of the complete Himalayan panorama, deep valley and magnificient way through alpine trees of Oak , Rodendodron , Deodar , Alpine Meadows , Rocks , Ridges etc . 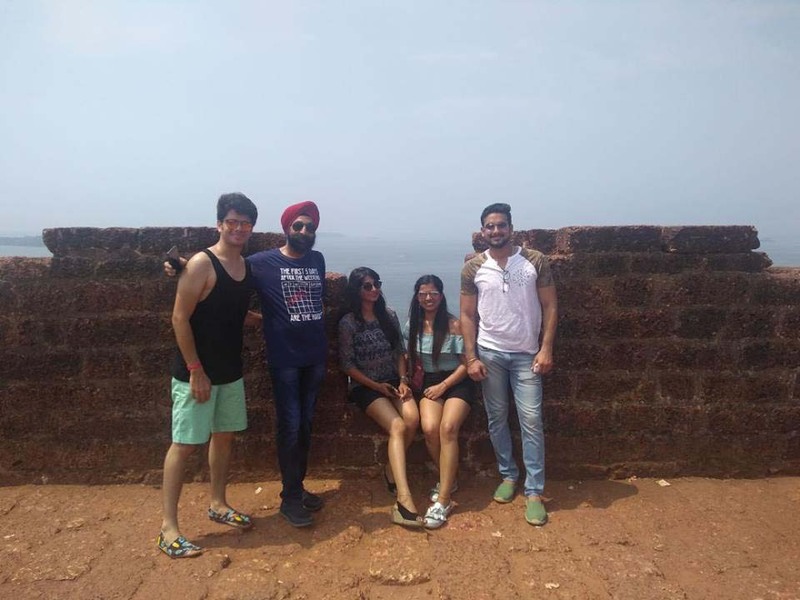 After a climb of about 1 km. 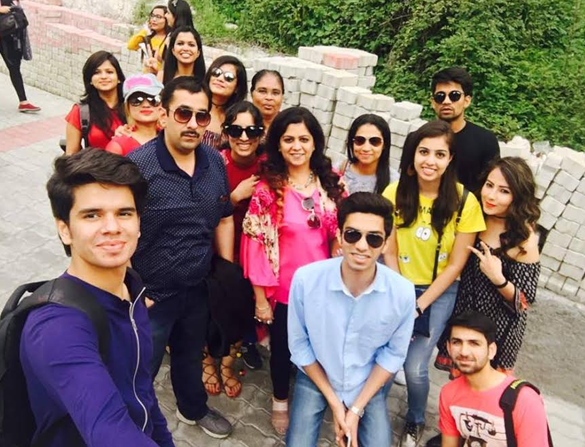 we reached the Top Tibba Peak at 10000 Ft. in about 3 hours which enthralls the fantastic view of Dun Valley , Mussoorie hills and Dhanaulti Hills. 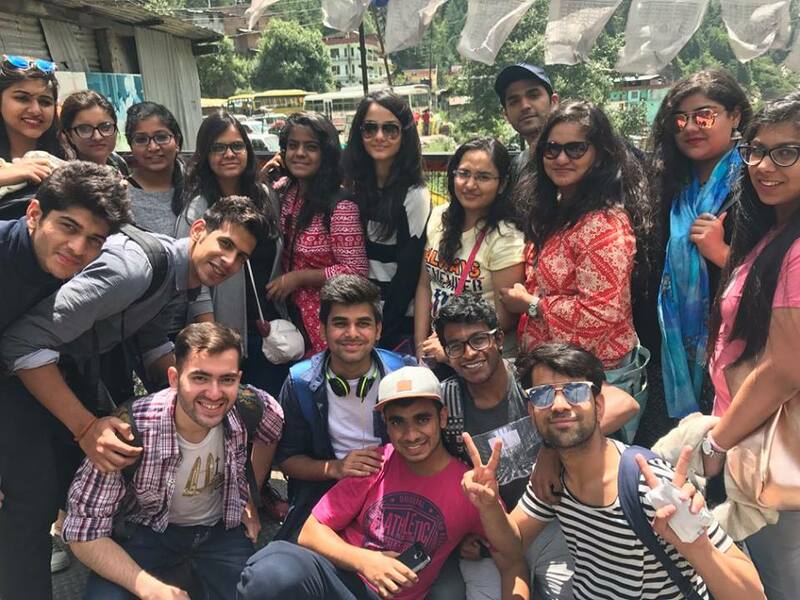 After reaching the base camp and having breakfast followed by little relaxation and lunch, everyone headed to Kempty Fall, a popular picnic spot, located 15 km from Mussorie. 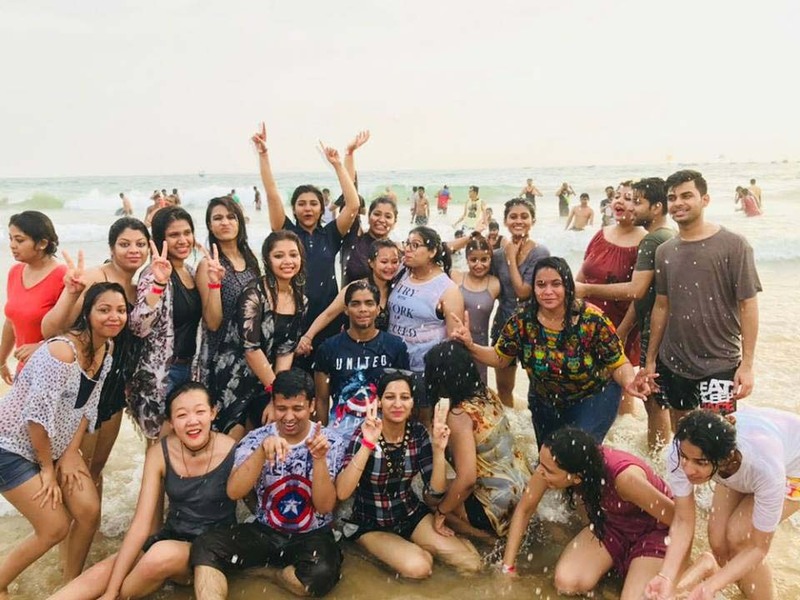 Students enjoyed the refreshing bath under 40 ft kempty waterfalls. 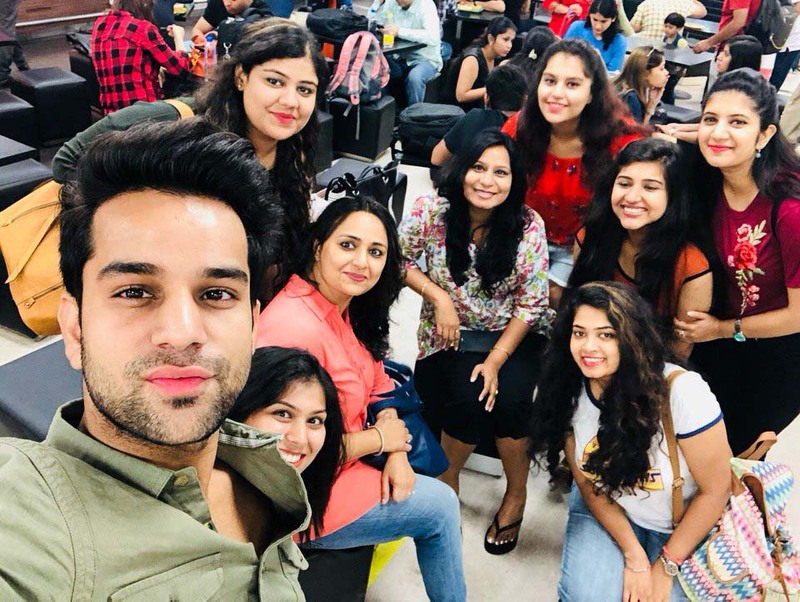 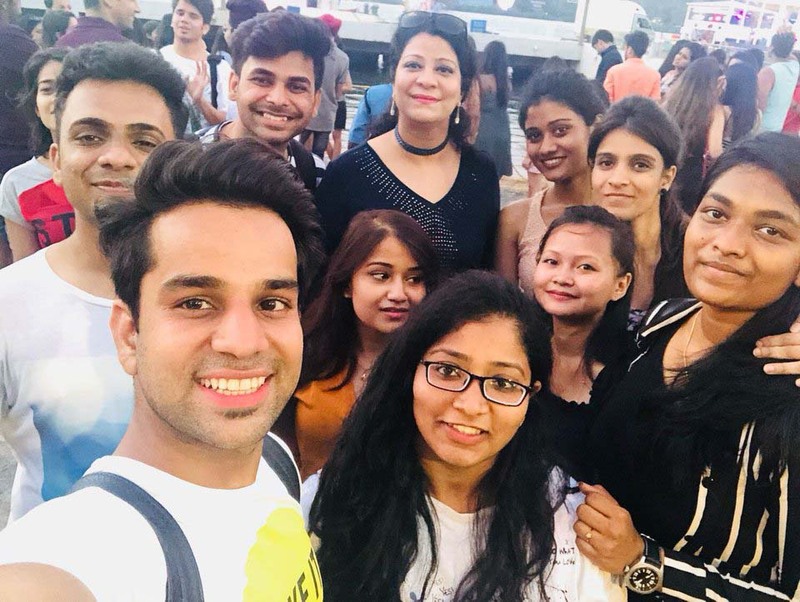 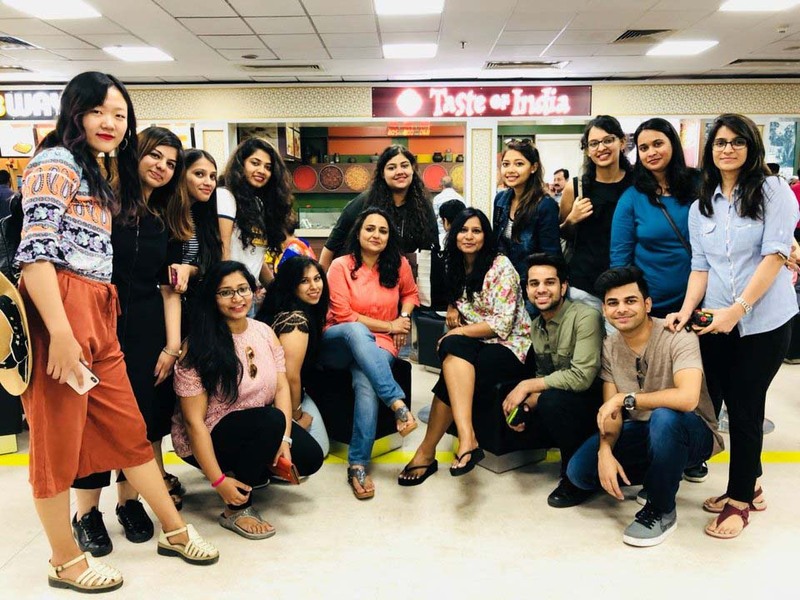 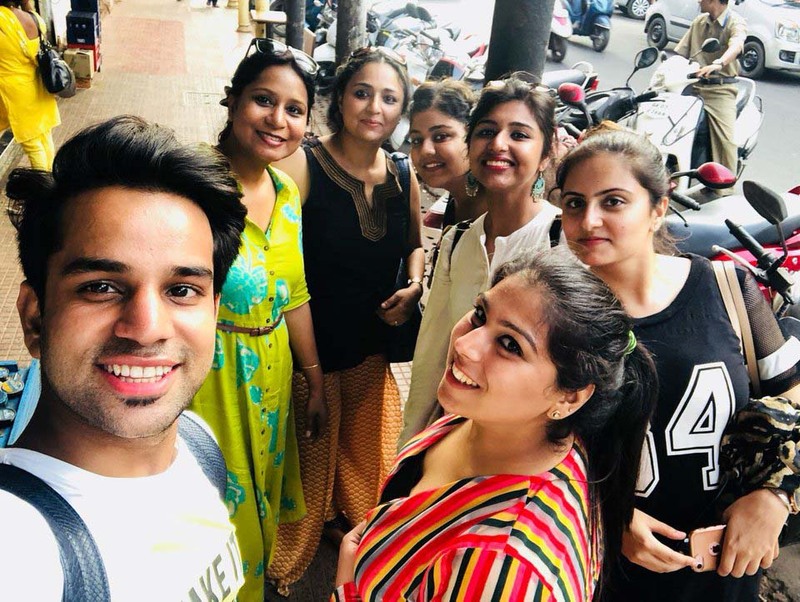 Thereafter, the students headed to the most famous promenade in queen of hills, Mussorie, the mall road which stretches from picture palace at east to the library at the west. 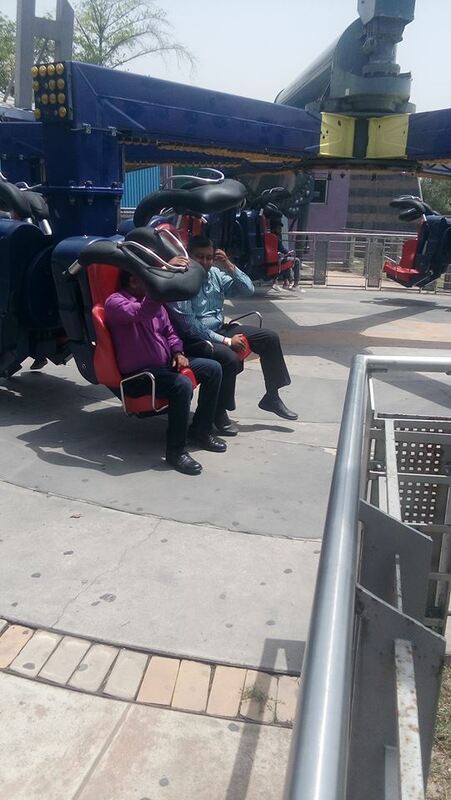 It is also a prominent shopping location with food and snacks at various restaurants on both sides of the Mall. 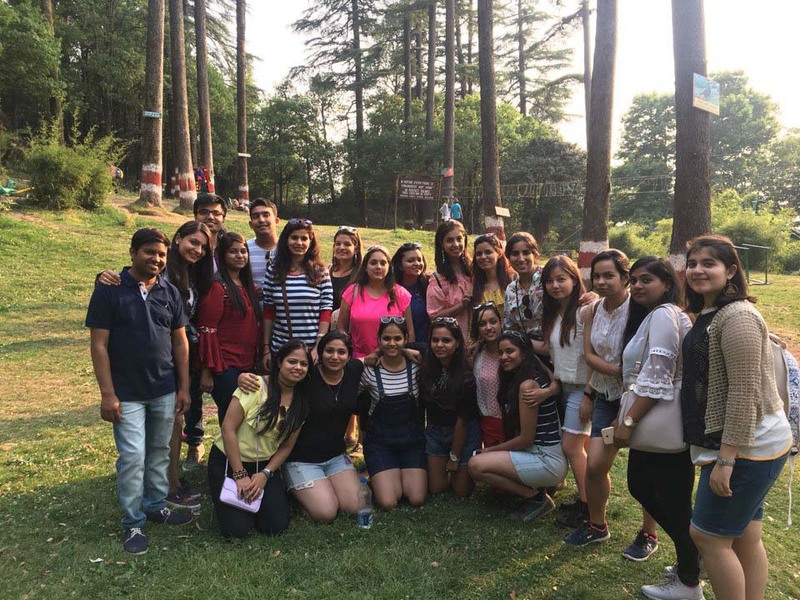 After breakfast the faculty and the students checked out from the camps and headed towards Robbers Cave also known as Guchhu Pani a favorite spot for fun loving enthusiasts. 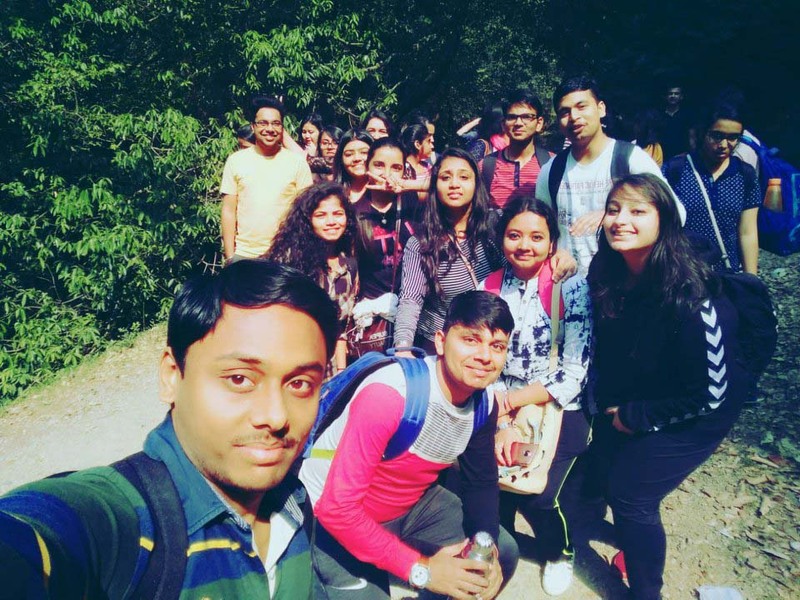 Students enjoyed the cold streams of water within natural beauty of caves. 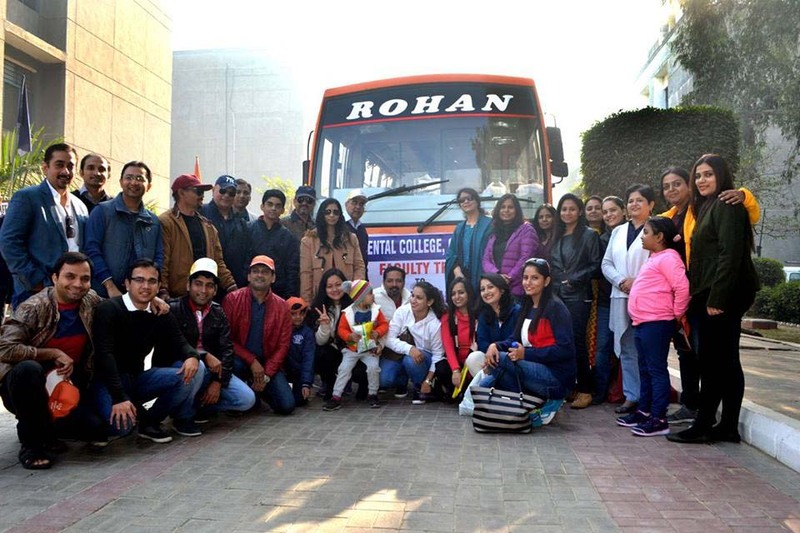 The delicious pizzas were served to the students in the bus for afternoon meal. 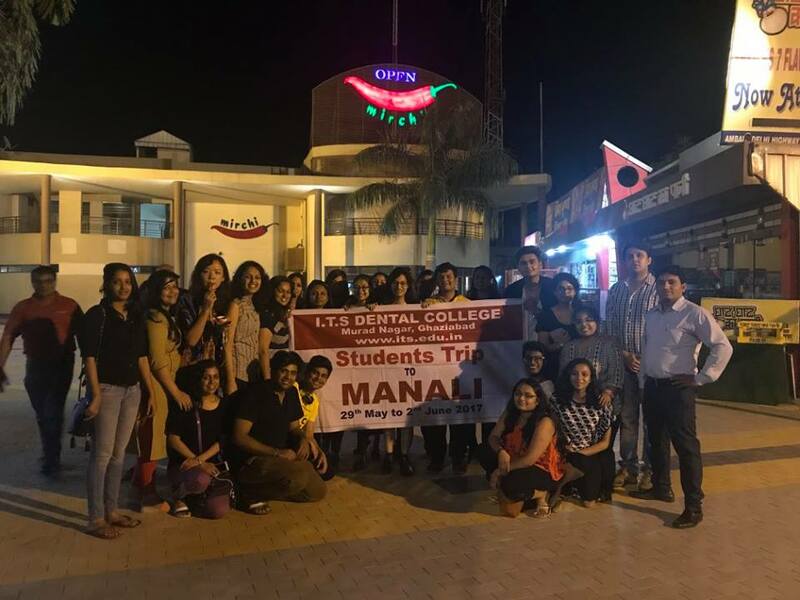 The buses reached the college at 11: 30 pm. 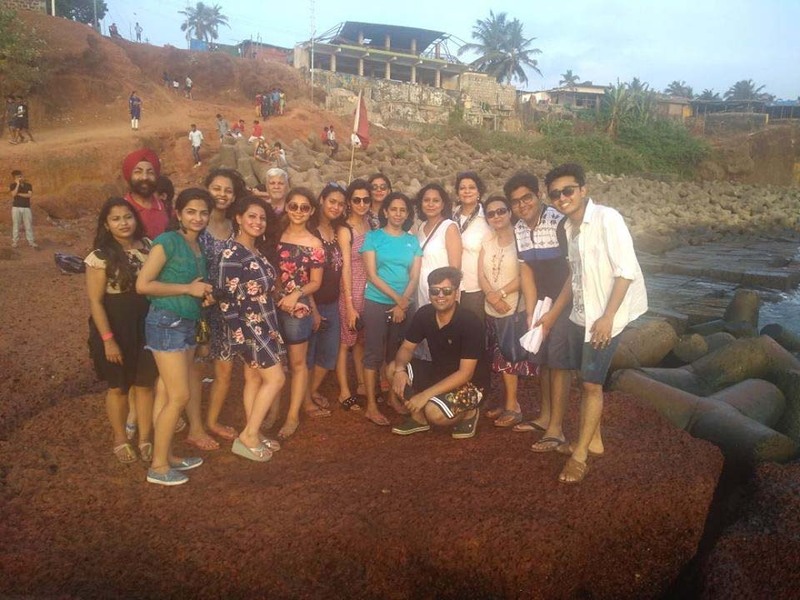 It was a very well organized trip with very supportive and co-operative students. 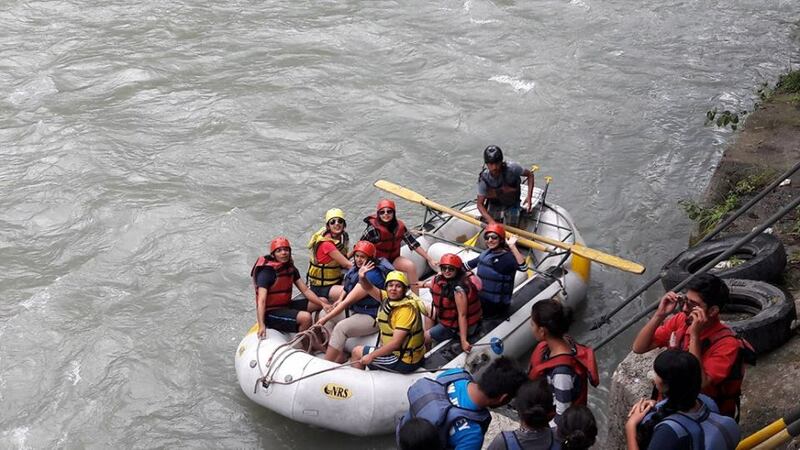 It was an overall stupendous and an unforgettable experience. 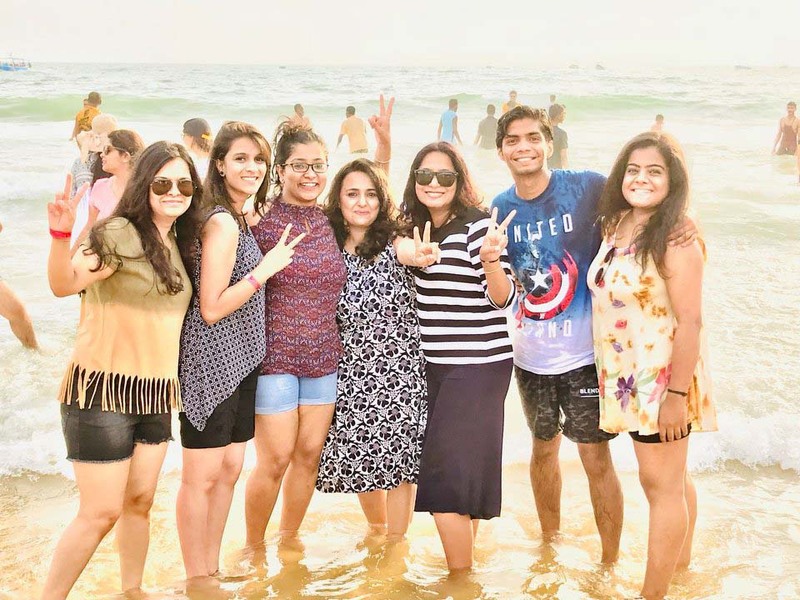 After a fun filled dancing evening, Day 4 of Goa trip started with a relaxing day at Calangute beach. 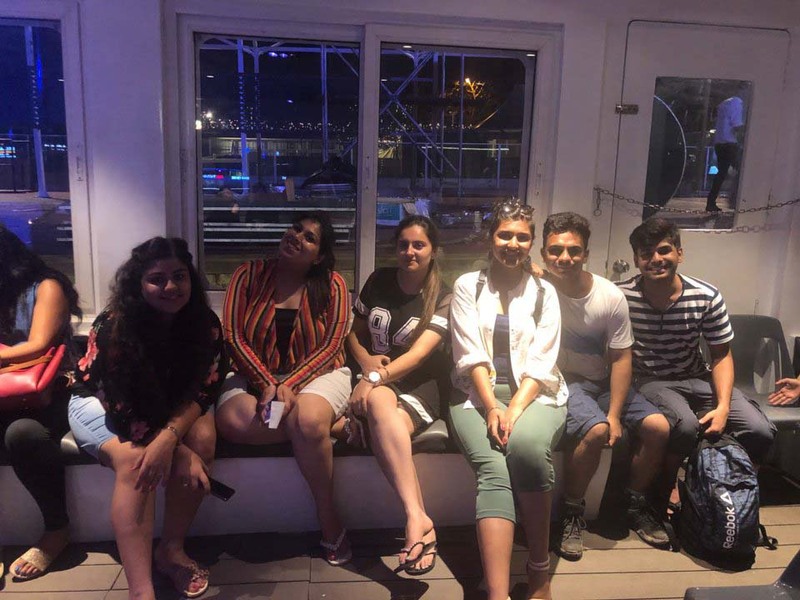 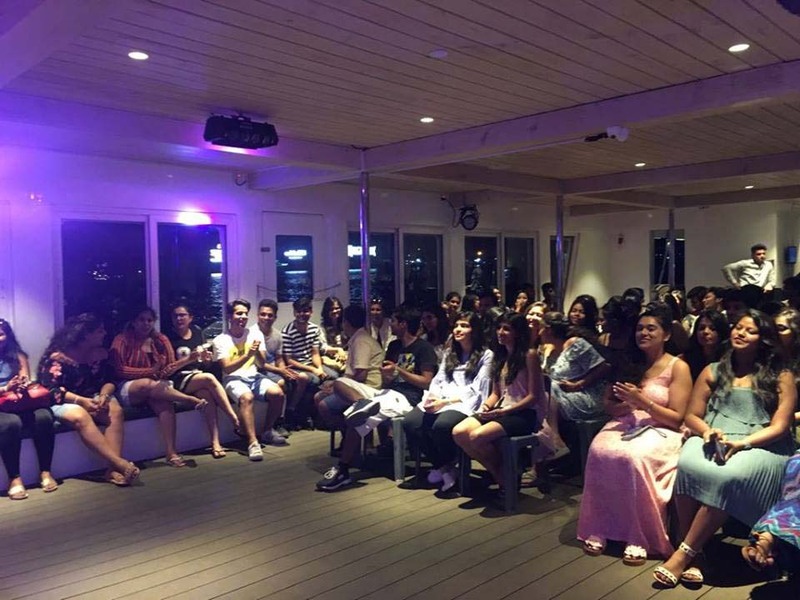 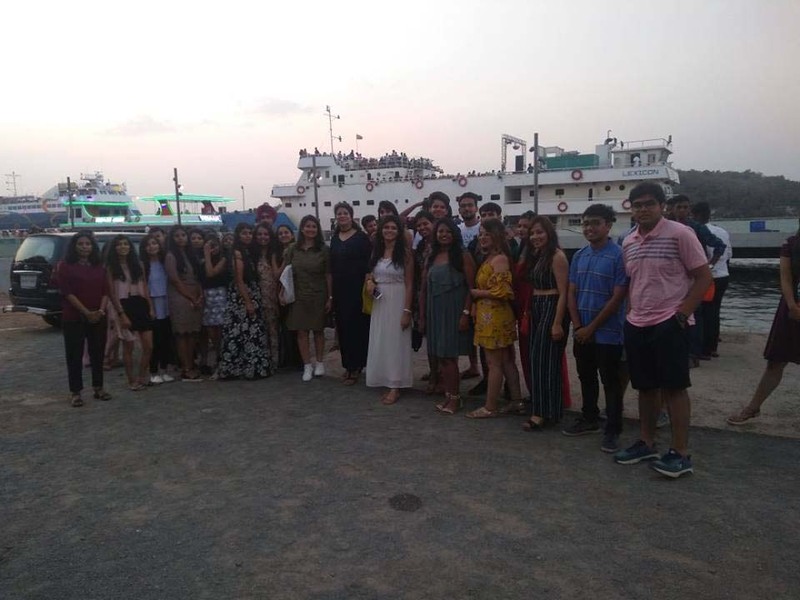 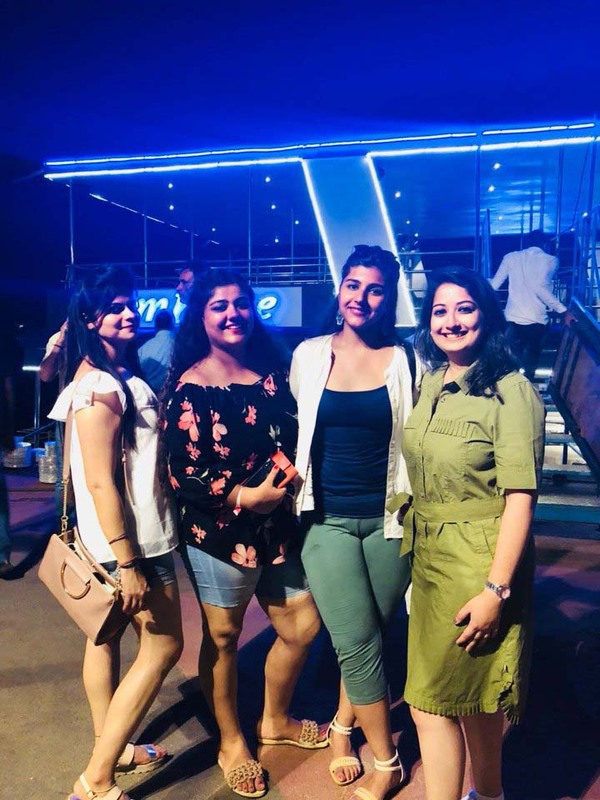 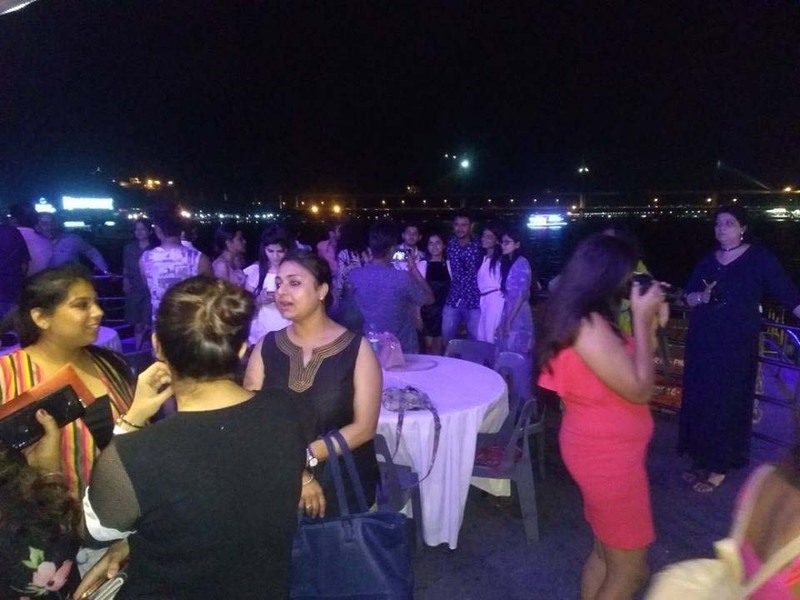 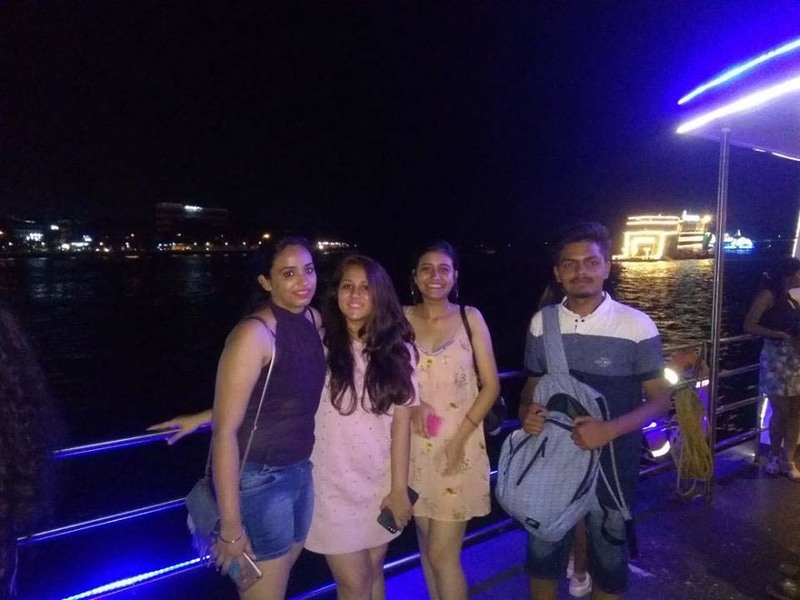 Students also had a chance to enjoy and unwind on cruise on Mandovi River to have a perfect end to the wonderful day. 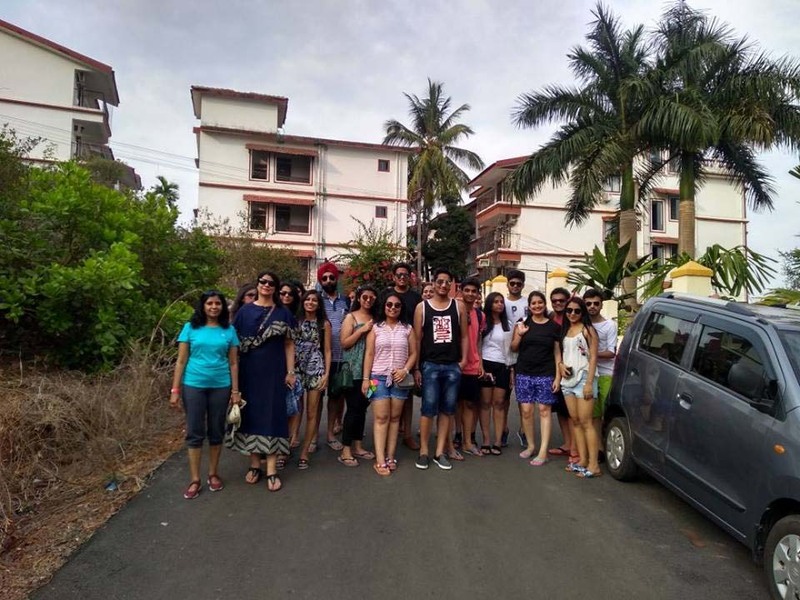 Enthusiasm marked the start of Day 3 of Goa trip. 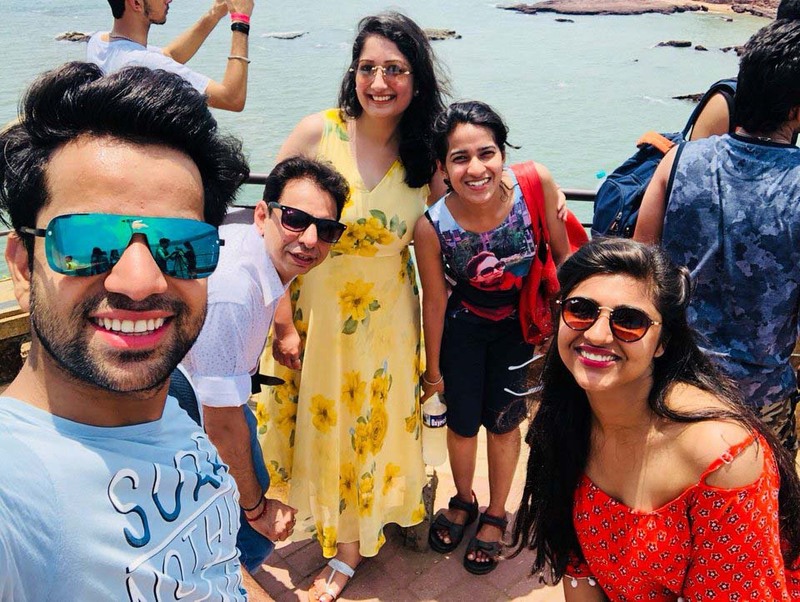 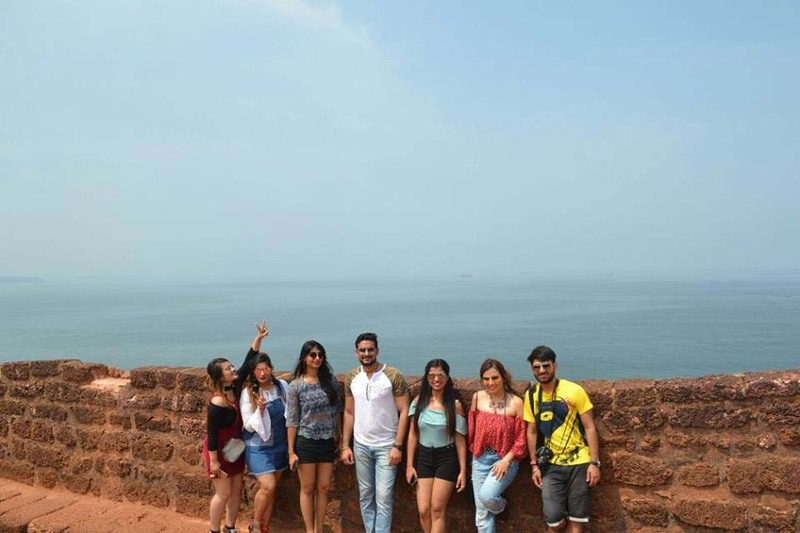 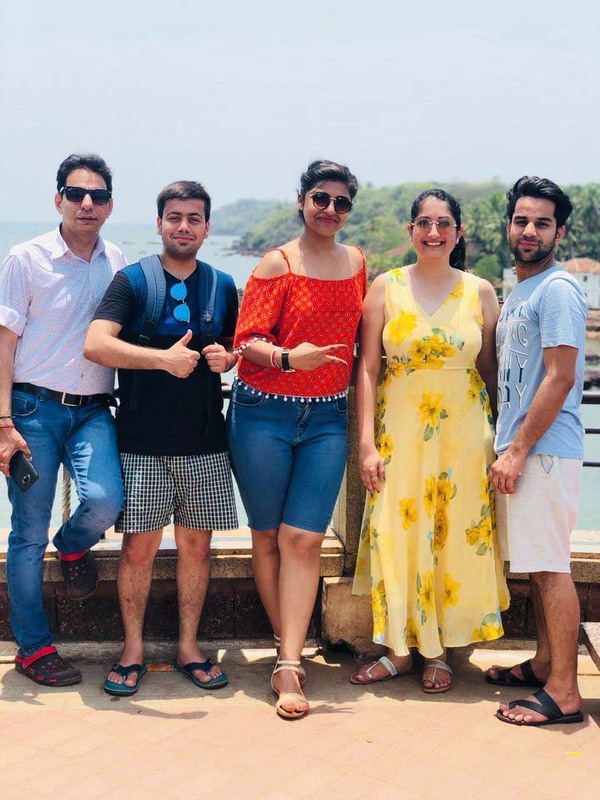 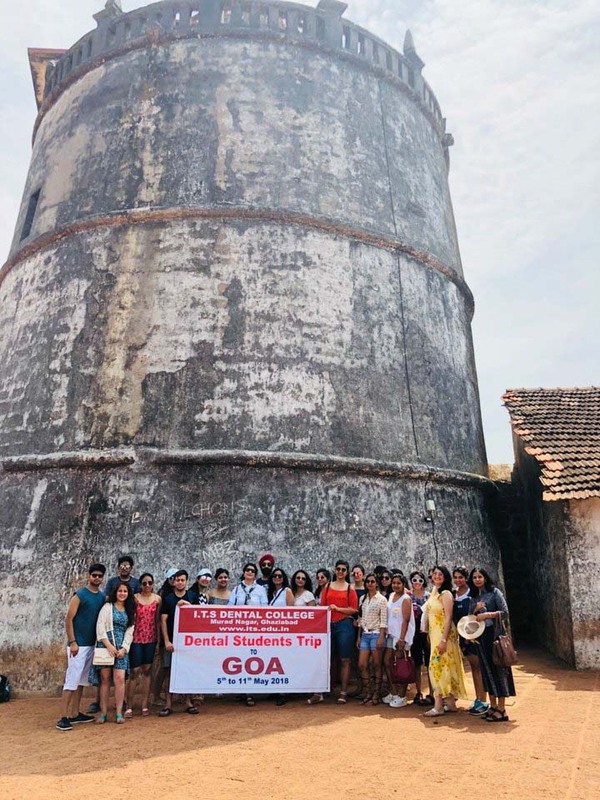 Students filled with enthusiasm headed to the landmarks of Goa including the light house, Fort Aguada, Dona Paula and beautiful beaches. 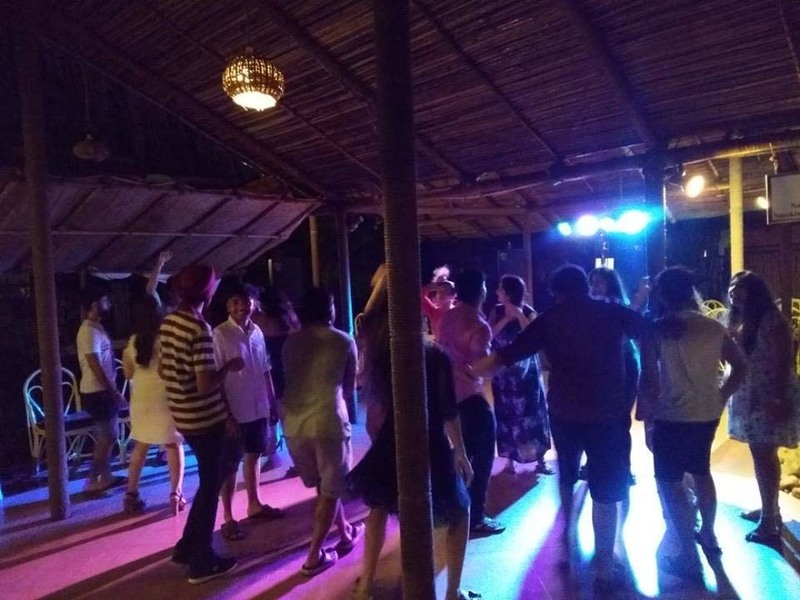 Day will have an ecstatic and fun filled end with DJ Jam session where the students would shake a leg to their favorite songs. 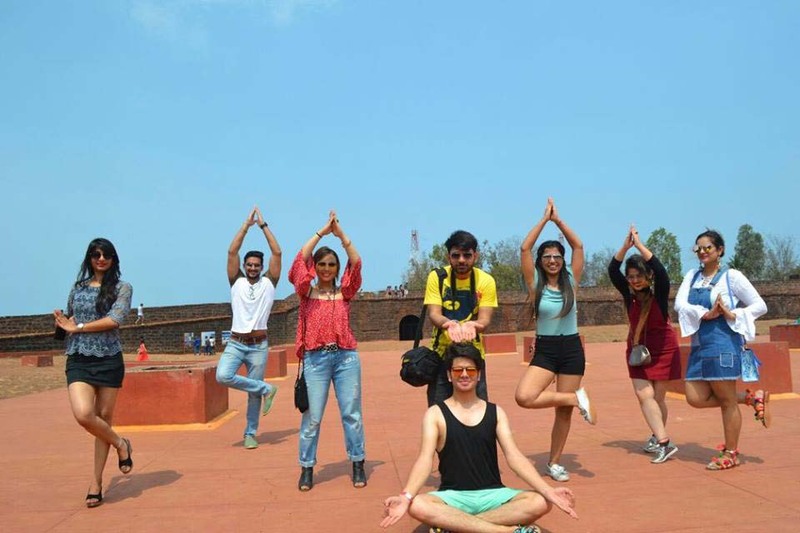 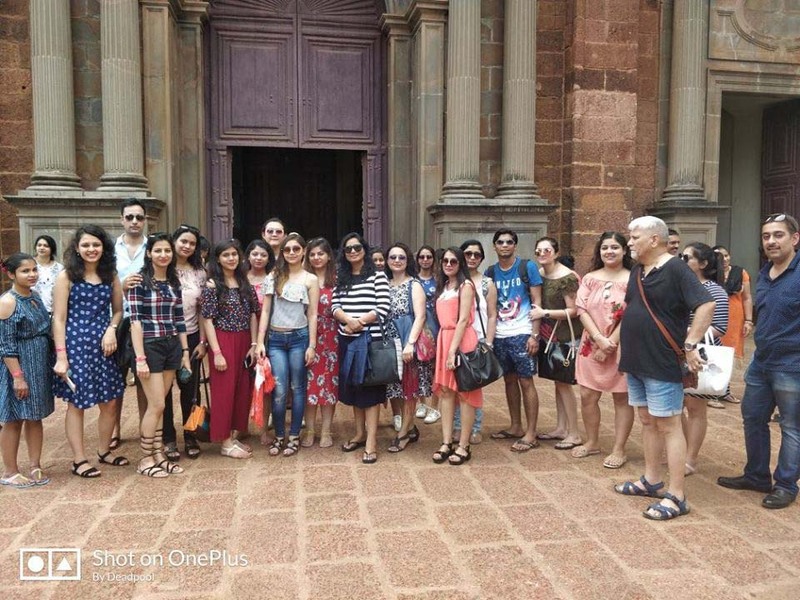 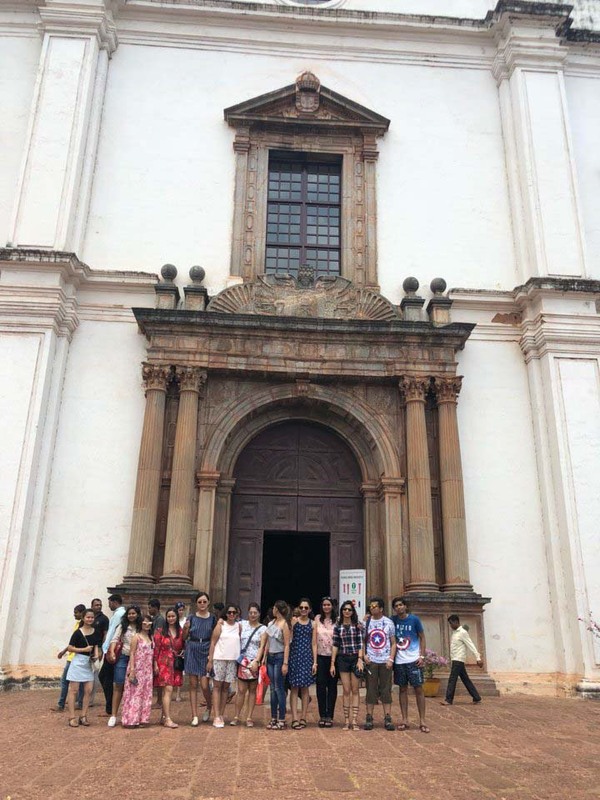 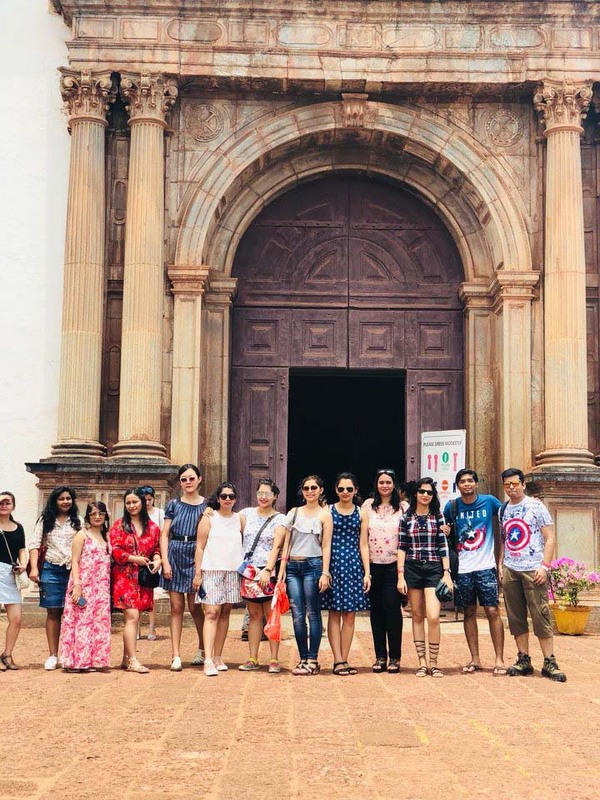 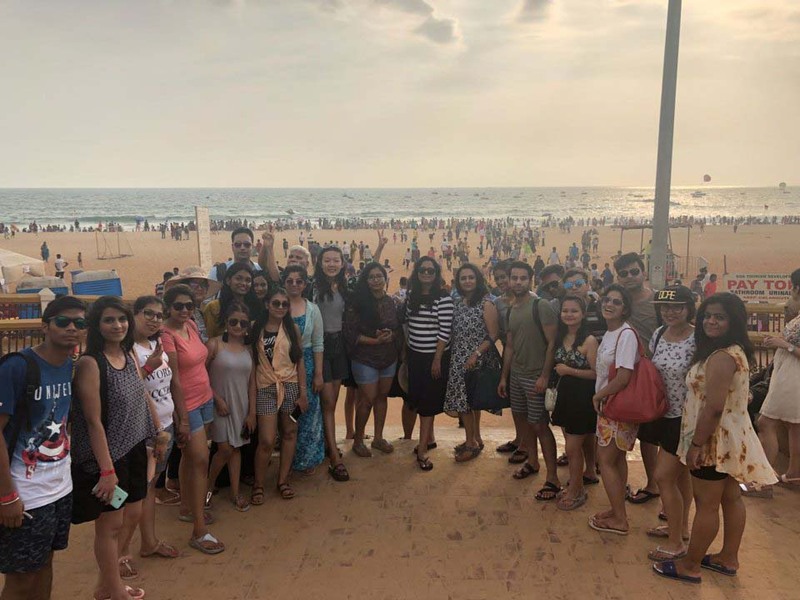 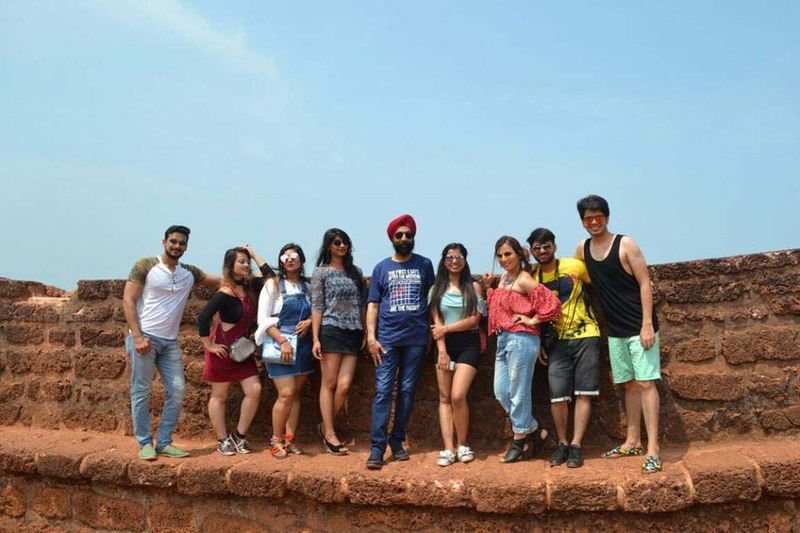 Day 2 of Goa trip started with a burst of excitement for all the students as they will be on an expedition to explore the local beauty of Goa including the exquisite churches, temples, forts and serene beaches. 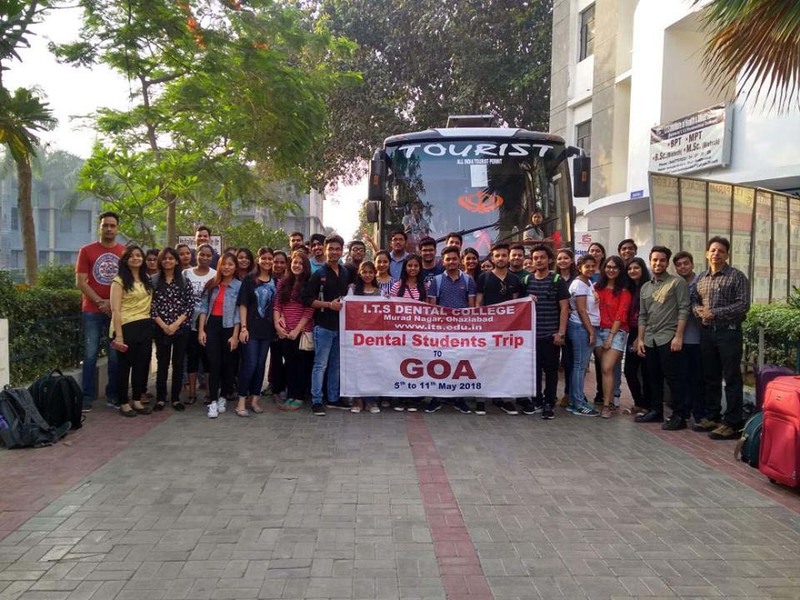 Students of I.T.S Dental College Ghaziabad today embarked on a 5 day trip to Goa. 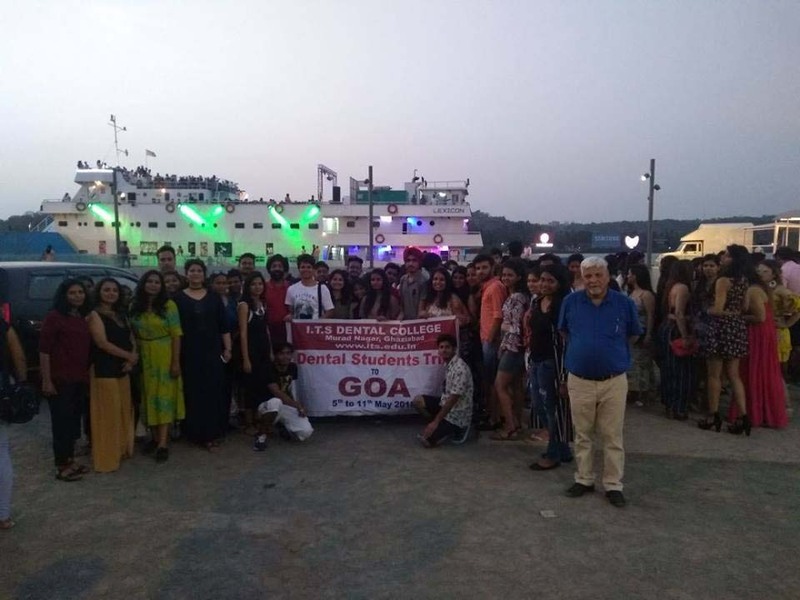 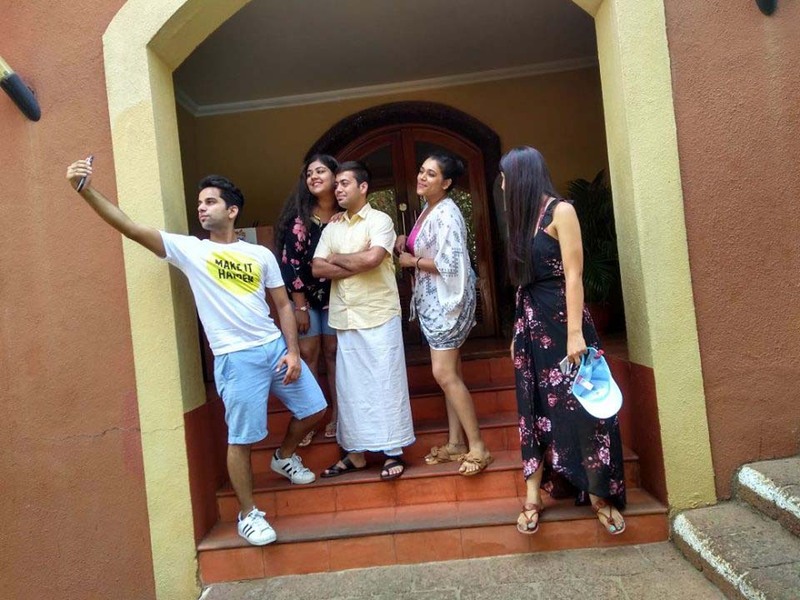 Students took a flight to Goa and will be proceeding to Hotel Pride Sun Village at Baga Beach. 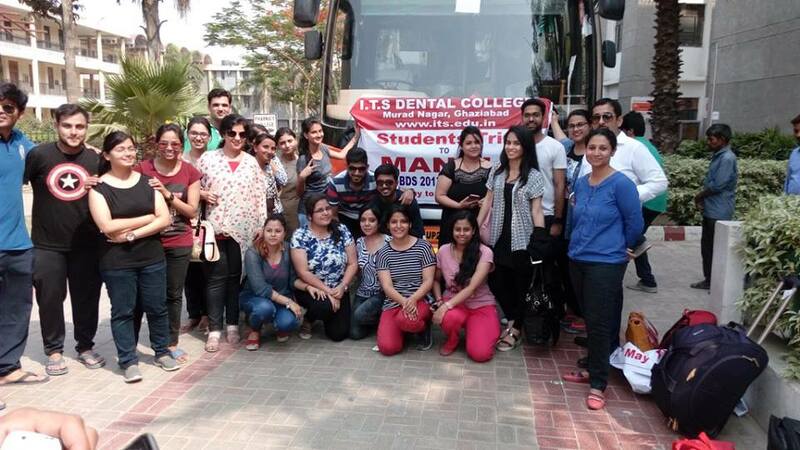 We hope our students have a memorable trip and we wish they have a great time. 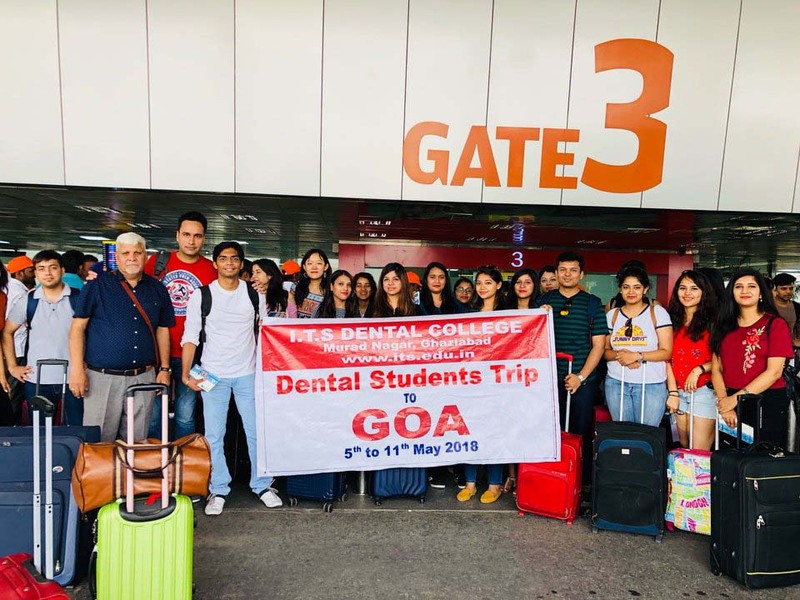 We at I.T.S Dental College Ghaziabad thank our honorable Vice Chairman Mr Arpit Chadha to start this initiative of organizing excursion trips for students to far and wide destinations of India. 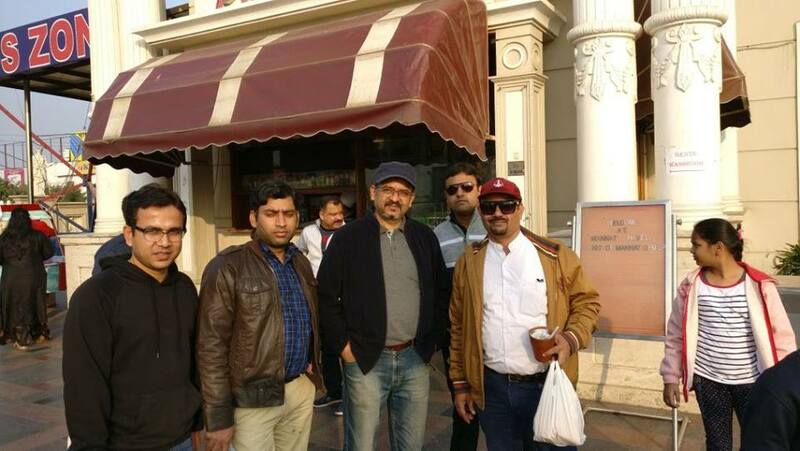 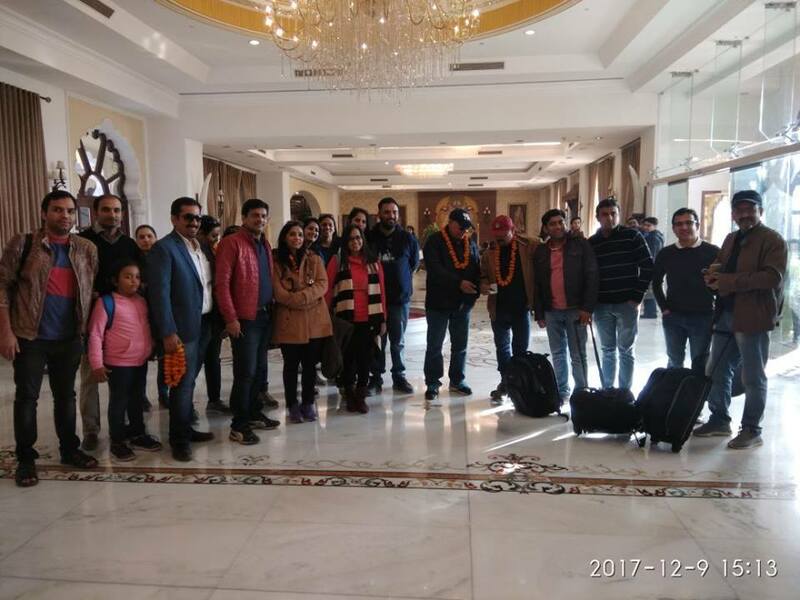 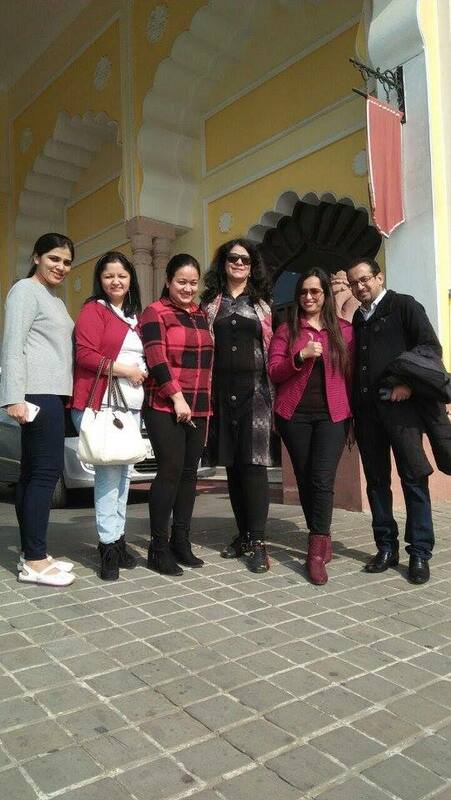 Faculty excursion trip was organized to an exotic resort location of Noor Mahal in Karnal on 9th and 10th December 2017. 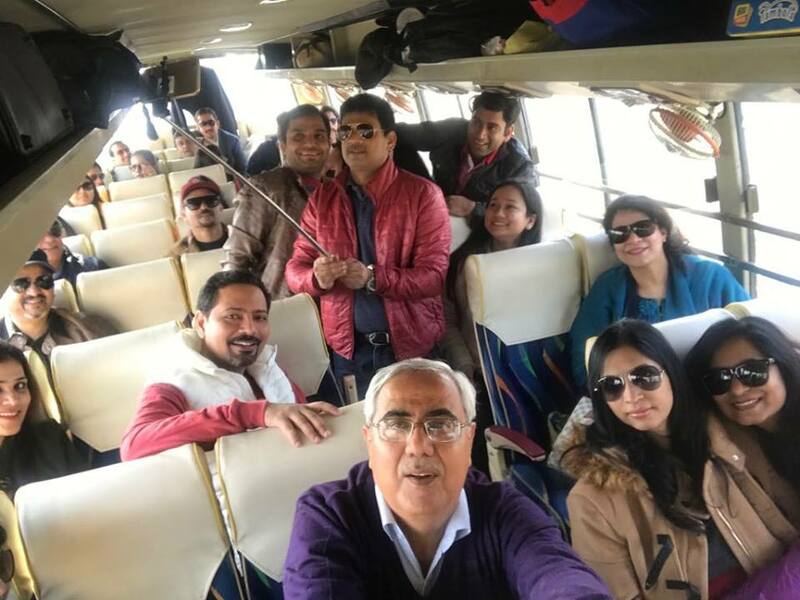 It was a perfect weekend getaway for all the faculty members with a lot of sports and relaxing activities like badminton, basketball, lawn tennis, table tennis, air hockey, spa, sauna and gym. 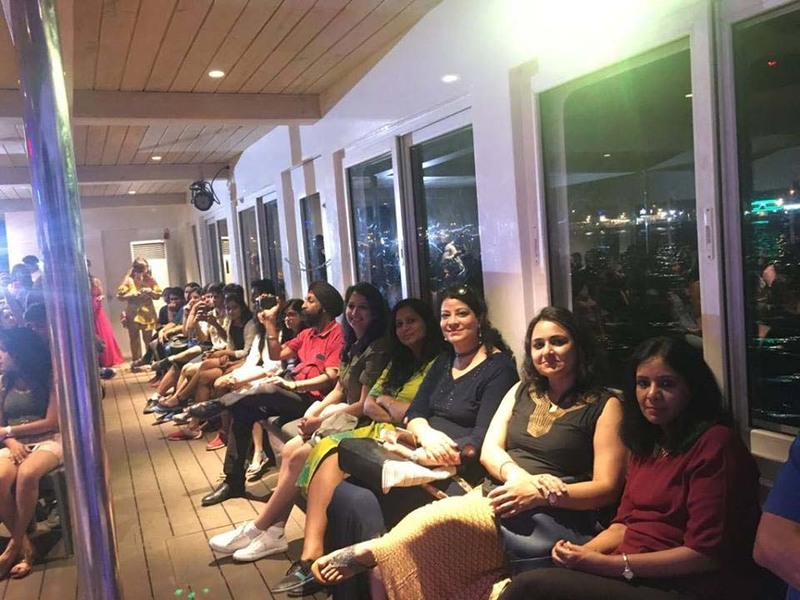 The evening was lined up with a beautiful courtyard gathering and special rajasthani folk dance and DJ jam session followed by dinner. 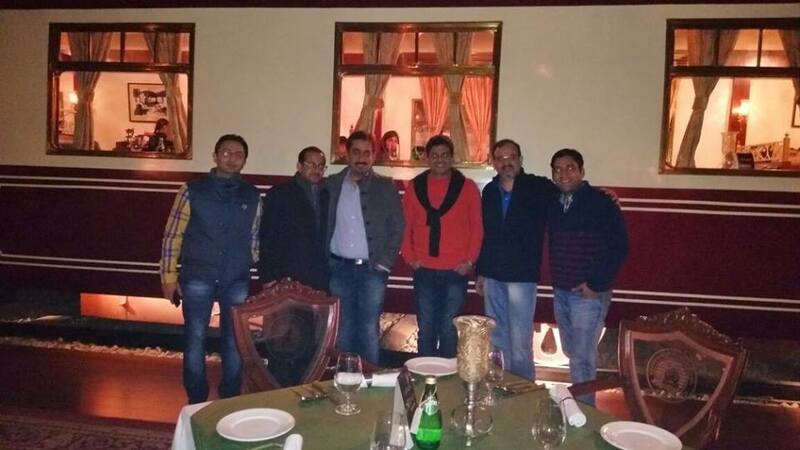 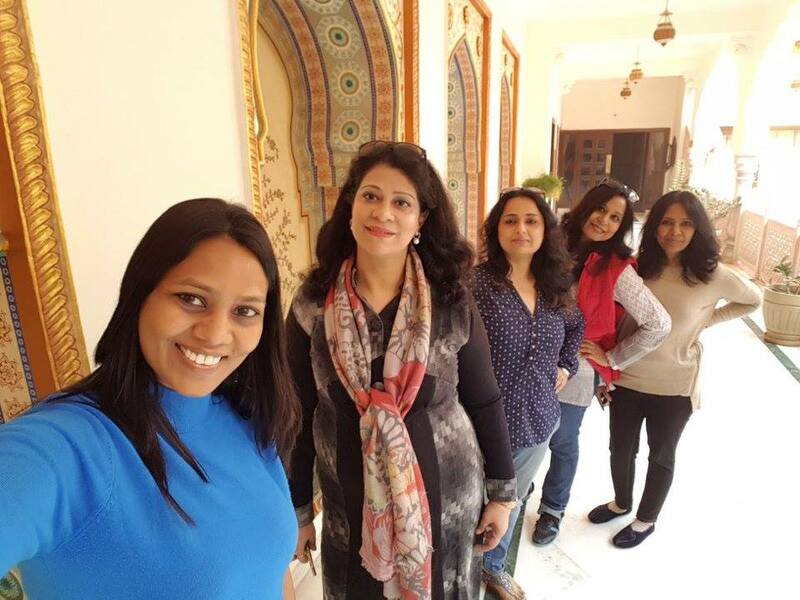 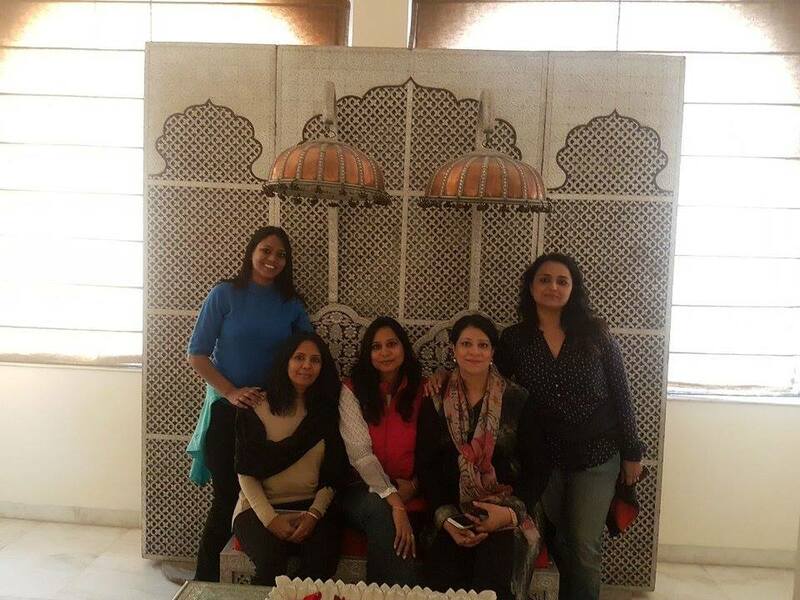 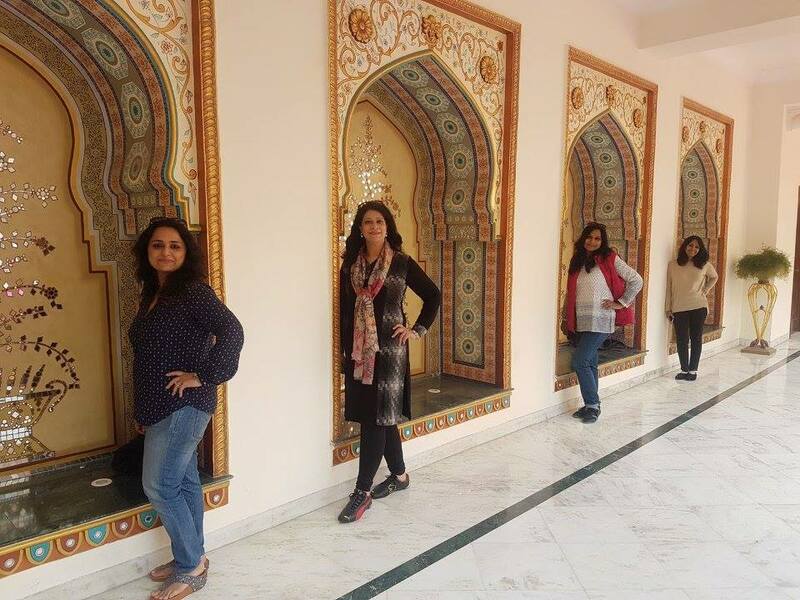 On the second day every one enjoyed a lavish breakfast buffet at the resort and lovely lunch at Mannat Haveli. 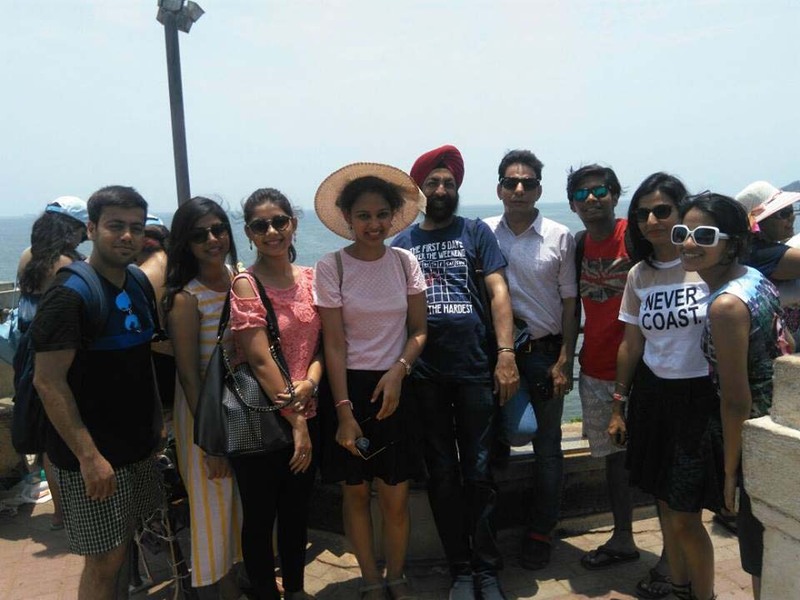 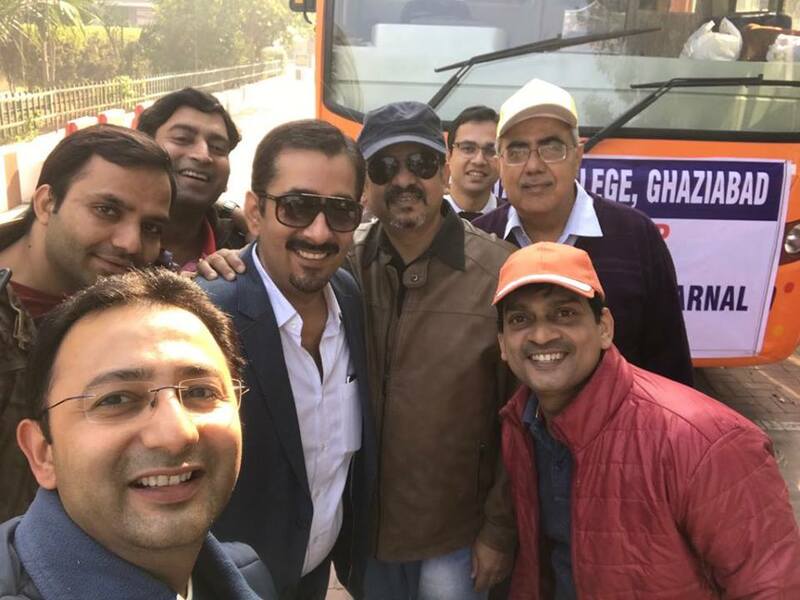 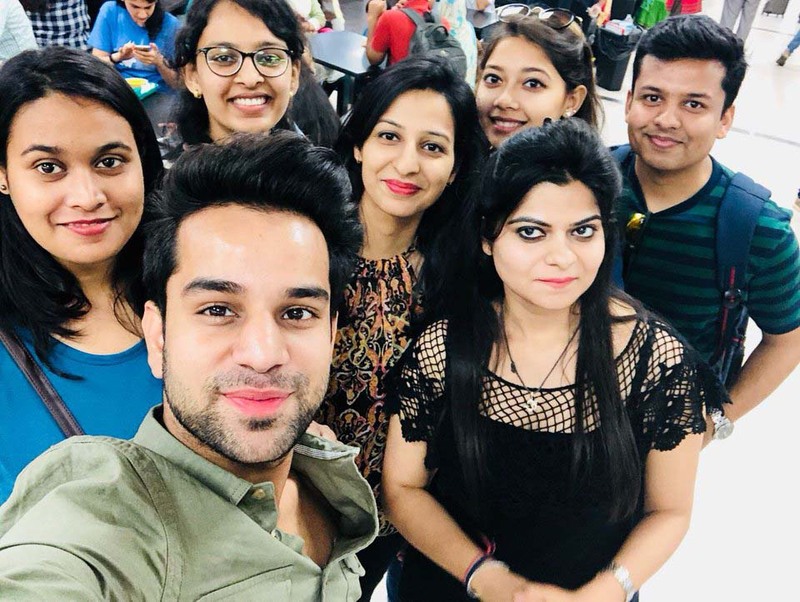 Special thanks to our honorable Vice chairman, Mr Arpit Chadha, who played a vital role in organizing this amazing trip for the faculty and encouraging interation between all the faculty members inculcating a positive environment at work.